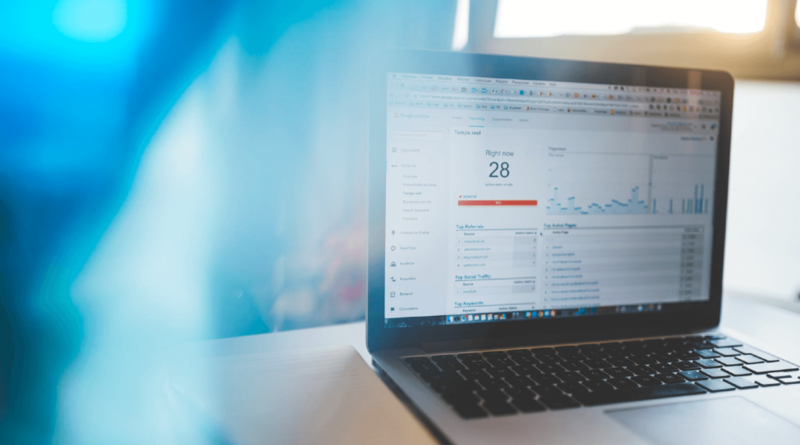 Vendor management is a term used to describe the procedures of analyzing and overseeing the entire relationship that a business has with a vendor. This includes the initial choosing of a vendor, making sure they’re making the correct deliveries in time, as well as a number of other qualities that the business should keep an eye on. To get a better idea of what businesses mean when they say vendor management, continue reading to get filled in on everything you need to know regarding vendor management to ensure you pick the perfect vendor for your business as well as understanding how to facilitate the relationship so you get the most out of it and are supporting your business to the fullest. 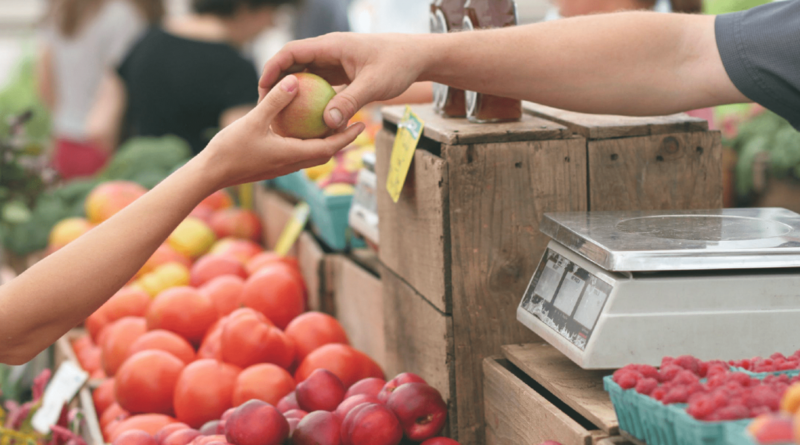 Unless you have a farm attached to your restaurant that’s able to supply you with everything you need, you’ll need a vendor that will work to supply you with the equipment needed to run your store. Now, the supplies you’ll need and the type of vendors you’ll want to partner with are completely dependent on the type of business you’re running. 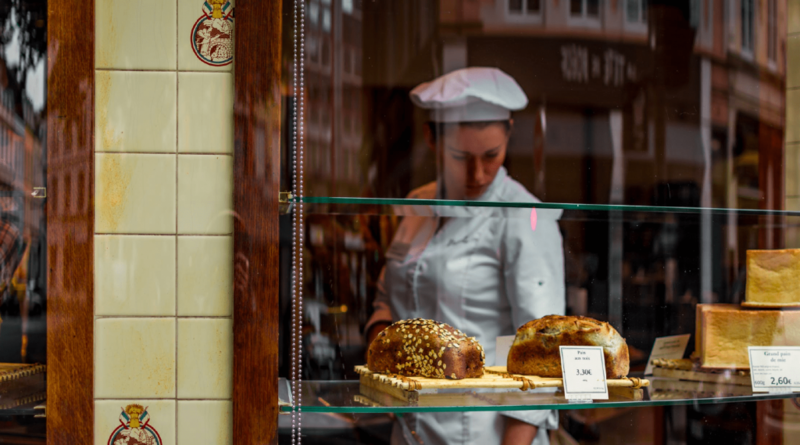 For example, if you’re running an Italian restaurant, you’ll want to research vendors that can supply the foods you’re interested in serving as well as any drinks you plan on serving. On the other hand, if you’re running a carpentry business, you’ll need a vendor that will be able to supply wood as well as any other equipment you may need. What does a vendor do exactly? A vendor is a business that typically sells its products wholesale to other businesses. These products can range anywhere from food to office supplies to large machinery. Most businesses don’t have the means to produce and ship their own equipment on a large scale, which is why they turn to vendors. They give them an avenue of receiving any and everything they’ll ever need to ensure the success and continuation of their business. Why is vendor management so important? Depending on the industry you’re in, you may have many vendors to choose from. In fact, there may be so many that you’re unsure of who to go with. This is where proper vendor management skills come in handy, not only should you be looking for the best deal in terms of price, but you should also be looking for the best deal in terms of quality of product. If you make the mistake of choosing a vendor based solely on whoever’s the cheapest, then you risk putting out a subpar product and alienating your customer base. On the other hand, if you’re only concerned with getting the highest quality product and throw caution to the wind in terms of pricing, you may find yourself losing money instead of earning a profit. This is why vendor management skills are so important for the success of your business, you have to understand how to pick and choose your vendors based on properly analyzing your business needs. Not only that, but you should understand how to properly analyze the relationship with your vendor so you’re constantly aware of where you need to improve and how. 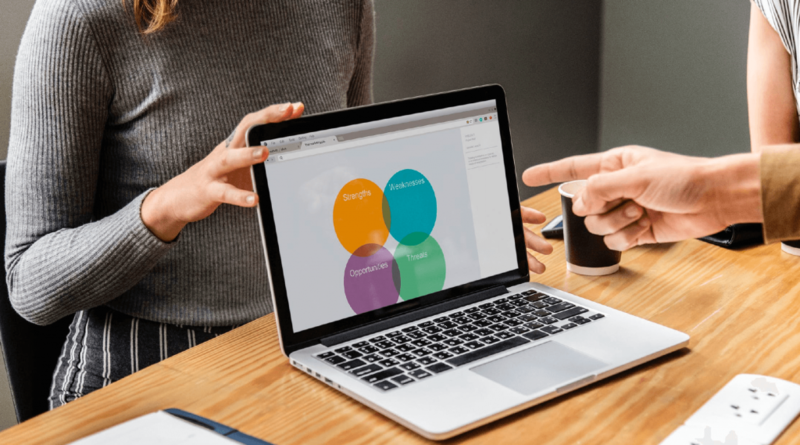 Continue reading as we explain each aspect of the vendor management relationship that you should be aware of so you can be sure you’re building a successful partnership with whichever vendor you end up working with. Also, no matter how good you are at managing the vendors for your business, it means nothing if your managers are using an outdated system of procedures for making employee schedules that ends up taking up all of their time and makes it hard for your employees to receive their schedules. To help you out with this, take a look at some of the features offered with Deputy, as well as clicking on the button below to begin your free trial. With you now having a better understanding of what vendors are along with what goes into proper vendor management, let’s get into how to choose a good vendor in the first place so you don’t end up with any major issues down the line. Here are the tips you should be the most aware of. Setting the criteria for what you expect from a vendor is important in the initial steps so you know what to look for. Take a look at some of the criteria below so you know what to model yours after or at least have an idea of how you should set it up. Quality of supplies, whether it be hardware, food, or anything else. Before you move forward with a vendor, you must be assured they’re able to provide exactly what you need to build a profitable business. How long it will take for them to send an order out and how long will it take for your business to receive it? This one is especially important, if you’re running a restaurant and your vendor informs you that the delivery you were expecting to receive by Friday isn’t coming in until Monday, then you may risk running out of crucial supplies over the weekend that can seriously damage your brand. To ensure you don’t find yourself in this type of situation, then make sure you’re asking plenty of questions and are conducting research regarding how long it will take the vendor to fulfill orders. If not, you’ll just end up hurting yourself in the long run. What limits do they have in regards to how big orders can be along with how small they can be? There’s going to be times where business is slower than usual and times where business is picking up and is busier than usual. Either way, you’re going to want to be assured your vendor is able to adhere to your orders no matter how big or how small they may be. What are their storage and handling procedures? If you’re running a steakhouse known for serving some of the best steaks in the country, then you want to be assured your vendor has strict policies in place to assure their steaks are treated with the highest of quality before it reaches your restaurant. Not only that, but you’ll want to be assured that they have procedures set in place to guarantee your steaks will be taken care of while they’re being shipped to your restaurant, this means trucks with air conditioning units in the back to assure that they don’t spoil during the trip over there. Do they have a return policy? What does it entail? You’ll want to be assured your vendor has a thorough return policy so you have somewhere to turn in case anything were to go wrong. Also, if you end up needing fewer supplies then what you’ve received, you can always return the extras so you can save some cash. Lastly, you’ll want to make sure your vendor can supply you with a contactable reference that’s able to be reached during business hours as well as an email address. You need to be sure you can contact your vendor with any and all requests or questions you may have regarding your shipment. You never know when things can go wrong, so be sure you have this information on hand. Publish what your needs are in a trade publication so you can call for bids. Approach companies directly so you can get proposals and estimates first hand. Whichever choice you end up going with is completely up to you and what you prefer. If you like, you can always do both to see which one ends up giving you the best deal. If you do end up putting out a call for bids, then you can request the bids in one of two ways. The first is a Request for Proposal (RFP) which is when a company asks for proposals from vendors and the second is a Request for Quotation (RFP) which is where a company invites suppliers to bid on proposals. Now that you have a list of bids that you can choose from for your business, it’s important you compare how they stand compared to your list of criteria that you put together earlier. This way, you can be assured your vendor is capable of meeting all the expectations that you have from a vendor. If certain vendors only meet some of your requirements but not all of them, then figure out which of your requirements are most important to the success of your business. Now that you understand how to go about picking a vendor that is perfectly suitable for your business needs, it’s time you learn how to properly analyze your vendor relationship so you can be sure you made the right decision with whichever vendor you ended up going with. How often were they late on deliveries? How often have they forgotten items on their shipments? Have the drivers been respectful and helpful during their deliveries? In the beginning, it’s very important that you do your best to evaluate your vendor so you can rest easy knowing you made the right decision. No matter how hands-on you are with your business, there will come a time where your store receives a shipment while you are away, and you’ll need to be assured they can handle it properly in your absence. This means coaching them on what should be coming with each shipment, the questions they should be asking the delivery person, along with where to store the delivery when it reaches them. To make it easier on them, go ahead and print out a document for them to quickly reference whenever they need to so the process is much less complicated on their part. 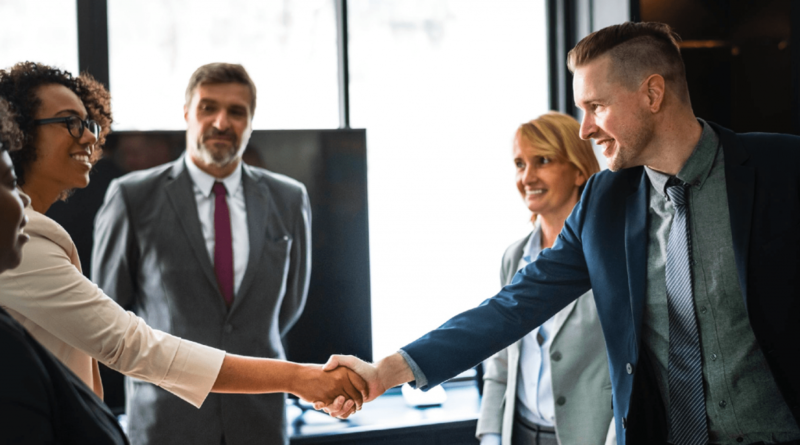 Like any other working relationship, you have to put in the effort to maintain a positive working relationship with your vendor. Remember that they’re the ones that are shipping you the supplies you need to keep your business afloat. To make it easier on your vendors, try to include very specific directions regarding how you would like your supplies packaged and placed in your store so your vendors don’t have to deal with any headaches down the line. Lastly, don’t be afraid or hesitant to fire your vendor if you feel like they aren’t performing up to the standards you expect them to. Remember that this is your business and you’re the one that’s responsible for its success, and part of that responsibility includes cutting any ties you feel like is holding your business back. Just make sure you have another vendor lined up before you let them go. Vendors are one of the most important aspects of your business that don’t get brought up all that often. Regardless, you should be sure to do your research and take your time to assure you’re going with the best choice. Along with that, you should also research some of the features that come with using Deputy, an employee scheduling platform built to free up your managers’ time so they can focus on strengthening your business. To see it in action for yourself, click on the button below to start your free trial. 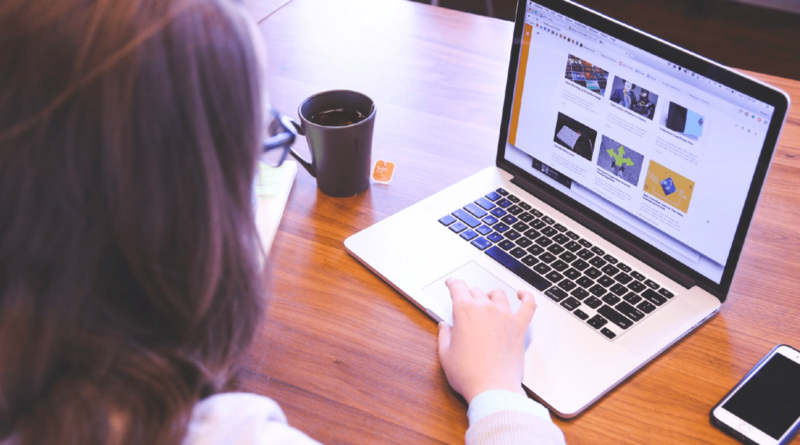 The post A Business Owner’s Guide to Vendor Management appeared first on Deputy. Recruiting for customer service related positions is tough, they typically pay more than a normal hourly position so their job ads will attract a very large amount of applicants. Not only that but they can be a great way for people to get their foot in the door and garner experience in certain industries and begin to work their way up the ladder. These reasons are why you need to be extra careful when hiring for customer service related positions, they are highly sought after and the only way to ensure your company’s standard is upheld is by being thorough in your interview process so you’re confident that you assemble the best possible team. 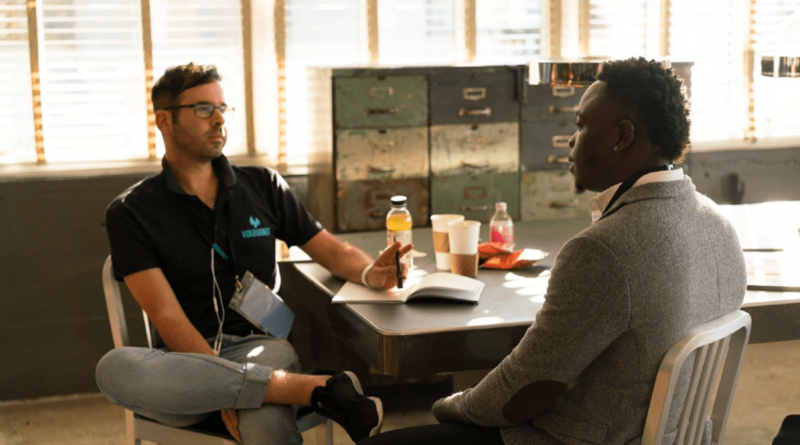 One aspect of a thorough interview process is asking the right questions that allow the candidate to open up as well as giving you the opportunity to dig deeper and get a better sense of whether or not they’ll be a good fit for your team. To get a better idea of the questions that are effective in bringing out the best in your applicants, be sure to analyze the blog ahead as I give you a rundown on what you should be asking your customer service applicants. But before we get into that, you should take a look at how you handle your employee scheduling procedures. No matter how talented you are at attracting great employees, they will be gone before you know it if you don’t take steps to ensure they’re comfortable in how your company handles things. To learn more, click on the button below to begin your trial. 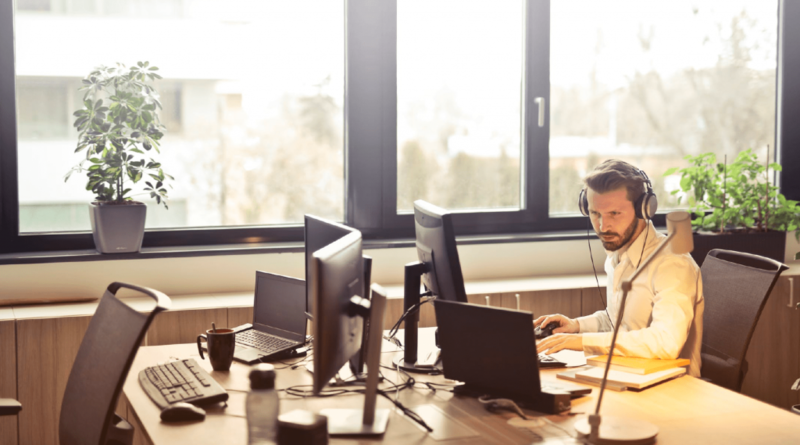 Before we get into the questions, it’s best to gain a better understanding of the higher than average turnover rates for call centers and how you can work to avoid these issues in your own workplace. Why is turnover such an issue in the Customer Service industry? 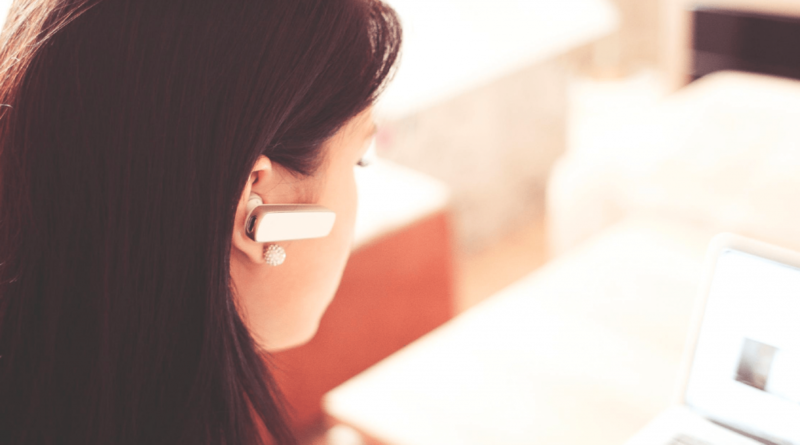 There are many reasons as to why customer service roles typically have an issue with high turnover rates, but these rank as the most common as to why people end up leaving these jobs. Everyone says they’ll be great at answering a bunch of phone calls, up until they’re actually put in the position where they’re expected to answer up to a hundred calls a day. Once reality hits, they will be quick to search for another position as soon as they can. If you’re recruiting for a role where your agents are expected to answer a higher than usual number of calls per day, then make sure to clearly state what you expect from your customer service reps in your job ad as well as during your phone interviews and your in-person interviews. This way, your candidates better understand what they’re getting themselves into and can prepare themselves accordingly. Aside from that, you may want to speak with managers about giving employees breaks as well as implementing other strategies for easing the stress levels of the customer service reps. To give you some help, here are some other ways of lowering the stress levels of employees that work to lower your company’s turnover rate. Offer free snacks in the breakroom. (Dark chocolate in particular is great for lowering stress). Declutter your workspace. An office that is filled with a bunch of unnecessary junk will clutter the employees’ minds as a result, so make sure that you’re periodically cleaning your workspace. Give employees some praise every now and then. Managers often don’t single employees our or take the time to speak with them unless they mess up or have some other area that needs improvement. This way of doing things stresses employees out and makes them feel unappreciated. Whenever it’s time for performance reviews, remember to give your customer service reps positive praise to accompany the negative. Ask for their honest feedback. When you ask for an employee’s feedback, it makes them feel appreciated and like there a respected member of the team rather than like there a disposable tool. When you do get feedback, make sure that you take it seriously and take steps to implement useful feedback in the workplace. Implement office activities that involve everyone. This can be a fantasy football league, book club, in-office soccer league, etc. These are great for employee morale as well as giving your employees an opportunity to socialize outside of work. Just make sure that you have a good idea of what everyone’s interests are so you don’t end up starting something that no one is interested in. It’s no secret that a big part of a customer service representative’s job is to deal with customers that are not always so friendly. In fact, they are often downright hostile to the customer service reps they’re speaking with. This is a large reason why many people end up leaving the job. It can cause great emotional stress that not only affects their ability to be a productive employee, but will negatively affect their personal life as well. While it’s impossible to stop customers from yelling at employees, it is possible to promote strategies to help employees cope. Here are some strategies you should spread amongst your workplace. Remain calm during the call and don’t let the customer get the better of you. Don’t take anything personally, remember that the caller isn’t mad at you, they are mad at the situation. This helps put things into perspective. Listen carefully and acknowledge their frustration. An angry customer is often just looking for someone to vent to and help them feel justified in how they feel. If your customer service representatives are able to convey that feeling to the customer, then they’ll be likely to be less on edge. Apologize profusely, no matter if it’s not your company’s fault. Your customer service representatives will have to get used to apologizing frequently for issues that may not have even been your company’s fault in the first place. Regardless of who’s at fault, the representatives need to express sympathy for all issues they are facing. With you now being better aware of the issues facing customer service reps and how it can drive them to quit, it’s time to take a look at the questions best suited for pinpointing the candidates that are qualified for the role. Ensures that customers are completely pleased before getting off the phone with them and have no more additional questions. Genuinely cares about helping people. Is patient enough to work through any and all issues. Displays an understanding of the principals of good customer service. Can you explain your past experiences working in customer experience? This one is pretty straightforward and works to gain a better understanding of what they’ve done in customer service in the past along with what they’ve accomplished. Even if the position is entry level and you don’t require any past experience as a customer service representative, experience in the restaurant industry or even volunteer roles can be adequate for preparing them for the position. Would you describe yourself as a people person? When you’re on the phones for hours on out, you’re going to want to be the type of person that likes talking to people. This doesn’t mean you should only hire extroverts and dump the introverts. Believe it or not, introverts can be just as talkative as extroverts, as well as having the listening skills to make them good at customer service. Look for these clues in their answer to get a better idea of whether or not they’re a good people person. They are high energy when you talk to them and are able to hold a conversation. They show that they have a passion for helping people. They’re able to stay focused on a single topic for long periods. Can you describe a time where you went above & beyond to help a customer? When you’re a customer service representative, your full-time job is to ensure that your customers’ needs are completely fulfilled before moving on to the next issue. No matter how difficult their problem may seem, your job is to help them in every way possible. That’s why you should take time to analyze their past experiences with going the extra mile so you’re assured in knowing they are used to doing whatever it takes to make sure the customer leaves happy. Can you describe a situation where you had to deal with an irate customer? How did you handle it? Mean, impatient customers are a staple of the customer service industry and are a prime reason why many representatives end up leaving. Make sure that you ask them this question regarding their past experiences with problematic customers so you can gauge their ability to deal with similar issues that arise as a customer service representative. Have you been in a situation where you didn’t have the skills to help someone with their issues? What did you do about it? There’s bound to come a time where they’ll be approached with a question from a customer that they don’t know the answer to and you need to be assured that they’ll be able to handle themselves. Try to see how quick they are to ask for outside help, if they don’t know the answer, there’s no point in giving the customer empty promises that will just lead them right back to the support line. You want them to quickly get the help they need so the customer isn’t waiting longer than they have to to get what they need. What skill have you increased dramatically over the course of the past year? Customer service representatives need to be skilled in catching on quickly and efficiently if they want to be successful in the position. They’re providing a support role, so naturally they must be great at learning a lot of information quickly. While this question may catch them off guard, it’s a good idea to get a sense of how they handle learning new skills and talents. How important is collaboration to you? Would you say that it’s crucial for success? Despite that representatives are on the phone by themselves, customer service is still a very collaborative job that needs a team to assure it’s done properly. Imagine if they are in a scenario where they don’t know the answer to a customer question, while they may have the option of putting the customer on hold and flipping through the employee handbook for an answer, you never know how long that may take which can cause the customer to get irate. With a team that works collaboratively, they can simply turn to one another for solutions to answers they aren’t aware of. That’s why you should make sure they have experience in working as a team and are comfortable asking for the help they need. Did they speak clearly and coherently? Did you get any feeling of them having an attitude or sounding standoffish? Did they use any slang? You have to be assured that your representatives are able to properly represent your company so your customers don’t end up leaving because of a bad experience speaking with one of your representatives. You must be assured that the applicants for your open customer service representative roles are equipped for handling all customer complaints and questions so you don’t end up losing valuable customers. The questions above are great for getting a better understanding of how the candidate will be able to handle themselves in a customer service environment. Also, your representatives will have to deal with many irate customers that will often leave them drained. So don’t add the frustration of having to deal with an inconsistent employee scheduling platform that makes it hard for them to receive their shifts and difficult for your managers to build those schedules. To ensure you never have to worry about this, click on the button below to begin your trial and see how Deputy works to better your scheduling operations. The post Customer Service Interview Questions for Hiring the Best Candidates appeared first on Deputy. The most important possession for any business, no matter how large or small, is their money. So it only makes sense that you take plenty of due caution when researching which bank you should choose to store your money with. After all, you want to feel comfortable knowing that your money is safe and is being well taken care of. Not only that, but you want to be with an institution that is well-versed in small businesses and knows of the strategies and tactics that can help you save money and reach your goals. Finding a reliable bank is no easy feat though, many will tell you anything to convince you to open an account with them and will say that they’re experienced in working with small business owners when in reality they’re not. You don’t have to stress though, this blog will cover the eleven best banks for small businesses based on real-world examples as well as policies they have that are meant to help out business owners like yourself. Before we get into that, another area that is just as important as your bank are your employees. You can have the best bank in the world but it means nothing if you don’t have a dedicated team of employees constantly working to service your customers and live up to the ideals of your brand. The best way of helping them is by adopting an employee scheduling platform that makes it easy for them to receive their schedules as well as swap shifts with each other whenever they please. To get a first-hand glimpse of what Deputy can do for your business as well as your employees. Click on the button below to begin your free trial. Before we get into the nitty-gritty, we should take some time to go through the details revolving around how businesses should approach opening up their small business bank accounts. If you go into the situation unprepared, you’re bound to make a mistake that ends up hurting yourself and your business, so take your time analyzing this section to ensure that you’re aware of the order of operations and what you can come to expect. Despite what many business owners may think, you don’t what to simply have one bank account for your business that covers everything. This will make it difficult to manage come tax time when you need to have detailed records of different areas of your business. That’s why it’s suggested that you open up a separate account for your business’s income, taxes, and payroll. To be extra sure that you’re not missing any areas, you may want to consult your accountant on what accounts you should open for your business. If you’re going to open the bank accounts under a name that isn’t your own, then you’ll need to be assured that whichever name you do choose isn’t already trademarked by another company or person. To check to see that the name you want to use isn’t already trademarked, go online and use the U.S. Patent and Trademark Office’s trademark search tool to make sure that the name isn’t already taken. Aside from that, make sure that the domain for the name you want to use isn’t already taken, if you haven’t checked already. This will make it easier to conjunct your brand with all areas of your business, so make sure to set time aside to get it done. If you find that the name is available, then congrats! Head on over to your county clerk office or your state government office to pay your registration fee to file for your chosen business name. Don’t stress about the fee, they’re normally less than $100, and if you want to go the extra mile and protect your business name from trademark infringement, consider applying for trademark protection that is typically less than $300. As you may know from past experiences from opening personal bank accounts, you’ll need to have all of your paperwork in order to ensure that the process goes over quickly and efficiently. Since different accounts need different types of documents, you’ll need to conduct some research beforehand to understand which documents are necessary for each type of account so you come in well-prepared. To ensure that the process goes over quickly and efficiently, make sure that you have the following information handy when you go to open your accounts. Legal incorporation documents (this means bringing all state-filed articles of incorporation). Also, if the business has multiple owners or operates by a board-advisory, the bank will require official documentation stating that the person opening the account has full rights to access funds and transactions. DBA name registration if you’re doing business under a fictitious name. The law states that you’re required to also register that name with the state. Tax identification number, this number is used as a great tool for managing your taxes, paying your employees, and for opening your bank account. While these documents are commonly used during the account opening process, make sure to contact your bank beforehand and to conduct your own research to be assured that you are indeed bringing all of the necessary documents to the meeting. Now that you’re aware of what you should bring with you to the appointment, let’s get into which banks are going to be the best fit for you and your small business. There are a number of different banks available for you to choose from when you’re considering who to open your business bank account with. While there are many options available, there are only a select few that are tailor-made for small businesses. Continue to read as we list the banks that are the best fit for small businesses. I know, I know, all of the recent bad PR with the brand may make you hesitant to work with them and leave you wondering why their name is on this list. In reality, despite their recent mishaps, they’re still one of the top choices of banks for small businesses. This is partly because they have so many locations around the country as well as the world. In fact, they actually lead the country with the most locations at 6,314 branches nationally. This is important because you never know when you may need to conduct some important business in regards to the financial side of your business. If you’re on a trip to Washington and you have to deal with a financial issue regarding your business in Florida, you can rest assured knowing that there is most likely a Wells Fargo right around the corner that will be able to help you out with anything you need. Although they aren’t technically a bank, just bear with me for a second. Navy Federal Credit Union has a number of offerings for small businesses that makes them a top choice for many business owners. An example of some of these offerings includes business checking and savings accounts, small business loans, retirement and insurance services, payroll and merchant solutions, as well as a number of other offerings. They also have an A- BBB rating as well as online reviews that are generally positive, which speaks to their brand as well as their customer service. The only drawback is that you must be an active duty military member (Army, Navy, Air Force, and Coast Guard) or an immediate family member of an active service member. So if you or any of your co-owners meet these requirements, you may want to consider opening an account with Navy Federal Credit Union. With the direction that technology is heading, more and more businesses are handling less physical cash and a few don’t use any cash altogether. This is why Capital One may be a good fit for your organization. Their online banking features are stellar and their Spark checking and savings accounts offer no monthly fees with no minimum balances, which is unheard of for business accounts and will benefit you greatly down the line. While Wells Fargo may hold the crown for the largest amount of physical locations in the country, Bank of America gives them a run for their money with over 5,000 branches. They also have very reasonable fees for their accounts that rival most banks, as well as an intro bonus of up to $350. Chase bank is a favorite amongst business owners for a variety of reasons. One of those reasons is because they offer great business credit cards. 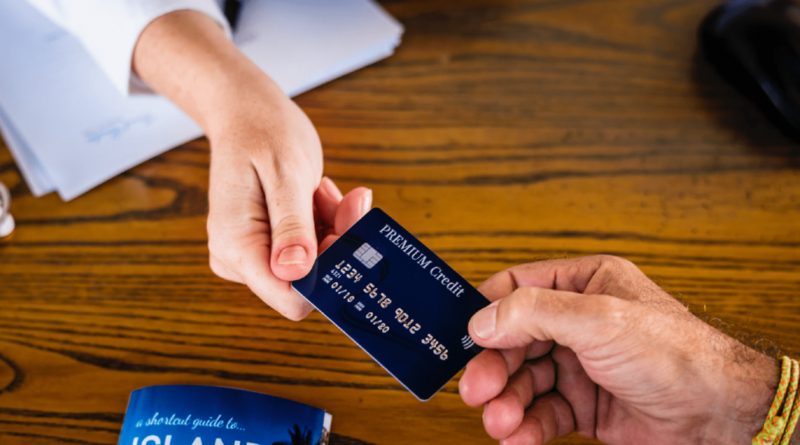 One of which is the Chase Ink Business Preferred card, which offers business owners high-value rewards that they can put towards free or discounted travel. Not only that, but they offer a large number of locations to boot. While they may not be as well-known as some of the bigger names, they are still an effective bank nonetheless and should be considered for your business accounts. They offer a free business checking option referred to as the silver business package, which is best fit for small businesses with few monthly transactions and cash deposits. You’ll find that US Bank is best fit for small businesses that are searching for a free checking account. If you’re looking for a business checking account that you can open for $100, then PNC Bank is the perfect choice for you. Not only do they offer checking accounts with small fees but they will also waive your maintenance fees for the first three months after you open your new account. It also offers a low fee structure that is great for businesses that process a large number of transactions each month. If you’re a sole proprietor and looking for a business account that is tailor-made for your needs, then look no further than BBVA Compass. They offer the best business checking account for sole proprietors that crave an account with low-costs and limited transactions. They also don’t charge a monthly fee and have no minimum monthly balance for your accounts, which is great if you’re just starting out and are still trying to get your name out there. Just because you’re a small business doesn’t mean you have to be limited to opening locations just in the United States, you may have goals of expanding into nearby countries like Canada or already have locations in our neighbors to the north. If that is the case, then look no further than TD Bank. They are the 8th largest bank in the United States and offer low-cost small business checking accounts that have no minimum balance. They also have many locations and ATMs located throughout the United States and Canada which will prove to be convenient whenever you travel back & forth to your Canadian locations. They aren’t the most well-known bank, and unless you live in New York, Pennsylvania, Maryland, Washington, D.C., Virginia, West Virginia, or Florida, you won’t have access to any of their locations. That said, they made it onto this list due to the excellent services they offer their small business clients. An example of this can be seen in their relationship managers, who analyze your business finances to recommend strategies that are tailor-made for the success of your business. If you hate having to go to the bank in person and prefer to stick to online, then look no further then Bank of Internet USA. They are the oldest online-only bank in the United States and offer money market accounts for businesses as well as a host of cash management services. If your business doesn’t handle that much cash and you feel like you can get by with an online-only bank, then you should definitely give Bank of Internet USA a shot. Running a small business means that you’ll have to make a number of difficult decisions in regards to your business, one of which is choosing the perfect bank to handle your finances. While it may seem like we threw a lot of information at you all at once, take the time to go through each option to assure you’re going with the best choice. Along with choosing a bank, you’ll also have to figure out how to create and send out employee schedules efficiently so your managers aren’t stuck spending all their time creating schedules and can focus on strengthening your store. To learn more on how an employee scheduling platform like Deputy can help your business, click on the button below to begin your trial. The post 11 Best Banks for Small Businesses appeared first on Deputy. Sole Proprietorship vs LLC – What’s Best for You? A Sole proprietorship is one of the simplest forms that a business can take and is defined as a business that legally has no separate existence from its owner. An example of this can be seen in how the income and losses of the business are taxed on the business owner’s personal income tax return. Keep in mind that a Sole proprietorship is not a legal entity and is just a term used to refer to the person that owns the business and is responsible for all of its debt. It can operate under the name of the owner or under a company name like Benny’s Pizzas. Whichever name you do choose to go with, remember that it’s only considered a trade name and does not create any type of legal entity that is separate from the Sole proprietor. An LLC, on the other hand, stands for a limited liability corporation and combines elements of a corporation and a Sole proprietorship business. An LLC is commonly considered to be one of the least complex business structures and is known to provide plenty of flexibility. Unlike a Sole proprietorship where the owner is primarily responsible for the debts of the business, in an LLC, the entire business is responsible for the debts instead of a single person. This means that in most circumstances, the members of the LLC are protected from any debts as well as any lawsuits. Now that you’re better acquainted with what a Sole proprietorship is, as well as an LLC, let’s take a look at why it’s so important that new business owners understand the differences and similarities between the two. Trying to start a new business is already hard enough, you have a million and one things going on all the time and right when you finally feel like you’ve got a grasp on things and can relax a bit, another issue is thrown in your face out of nowhere and you have to get right back to the grind. Whether it be dealing with lazy contractors, trying to secure that precious loan from the bank, or trying to put together a team of managers to help run your store, there will be plenty of roadblocks you’ll have to overcome to ensure you build a thriving business. One of those roadblocks is having to distinguish your business as either a Sole proprietorship or as an LLC (limited liability corporation). While it may not seem as significant as securing a space or finding a good accountant, the decision of choosing to be a Sole proprietorship versus being an LLC will have large effects that will echo throughout your business. Some areas of your business that will be impacted are your tax benefits, the people who’ll be liable to pay the loan back, as well as the personal assets of the business owner. If you’re still on the fence on which of the two would be the best fit for your business, continue reading as we give the advantages and disadvantages of both so you can be assured in whichever side you choose for your business. No matter whether you file as a Sole proprietorship or as an LLC, you’ll need an employee scheduling platform that will optimize the way you build and send out your employee schedules. Stick with inefficient scheduling procedures and you’ll be stuck spending precious time that you could have invested in bettering your business. To learn more on how Deputy works as a key to better employee scheduling procedures, click on the button below to begin your trial and see the benefits for yourself. First and foremost, you can’t have a conversation about the similarities and differences between Sole proprietorship and LLC without bringing up the tax benefits (and disadvantages!) that come with both sides. One of the biggest drawbacks of going the Sole proprietorship route for your business is that you’ll be seen as the same entity as your business. Which means that you’ll become personally responsible for all of the debts of the business, as well as for obligations like taxes. Also, all of your business’s income that’s earned gets directly passed through you, as well as all expenses that are incurred while running your business, which means that you have to file all of these figures on your personal tax return. Being a Sole proprietor means you’ll file your net business income or losses on Schedule C or C-EZ, which both go along with Form 1040. If you’re curious to know your rate of taxation as a Sole proprietor, it will be equal to your individual tax rate (not a corporate tax rate). Along with all of that, you’ll also have to pay self-employment tax on your net business income. All in all, paying taxes as a Sole proprietor is very straightforward and simple due to not having to pay separate taxes for the business. There are no special tax forms with the state or federal government and the only form that a Sole proprietor will have to file with the IRS is a Schedule C, which is part of their annual Form 1040. Unlike a Sole proprietorship, which is taxed in a single way, an LLC has the option of being taxed as a Sole proprietorship, a partnership, or a cooperation. It’s important to know that the only way for an LLC to be taxed as a corporation is if they specifically elect to do so. If not, they’ll be taxed as a Sole proprietorship or a partnership depending on how many members they have. With you now being better familiarized with the tax situations associated with both a Sole Proprietorship and an LLC, let’s move into the advantages and disadvantages of both. While a Sole Proprietorship may come with a number of tax benefits, there are many other benefits that business owners can come to expect when choosing this route for starting their business. Make sure to pay close attention to assure that these benefits are a good fit for you as a business owner. 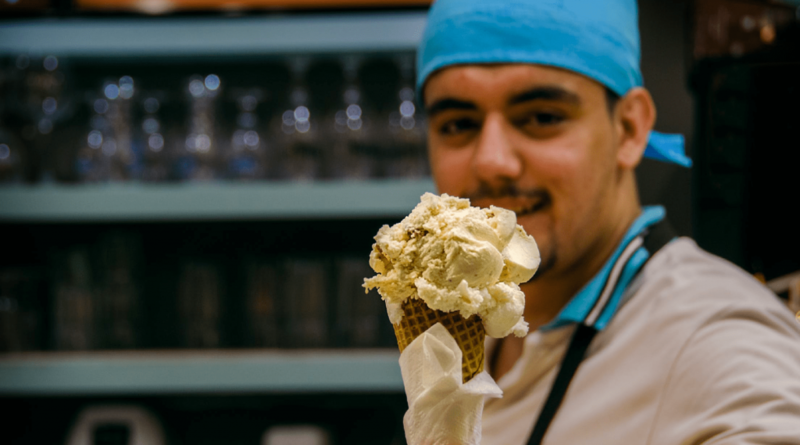 One of the biggest benefits of being a Sole proprietor is that you have absolute control over your business and know that all major decisions regarding your business will ultimately come down to you, which means that if you’re interested in adding a new menu item or changing your shop’s operating hours, you won’t have to worry about getting the approval of any other partners, investors, shareholders, managers, etc. You’re free to add whatever menu item you like along with changing your shop’s operating hours to your exact specifications. While this will definitely be seen as a large benefit for a number of business owners, don’t assume that having total control is always a good thing. 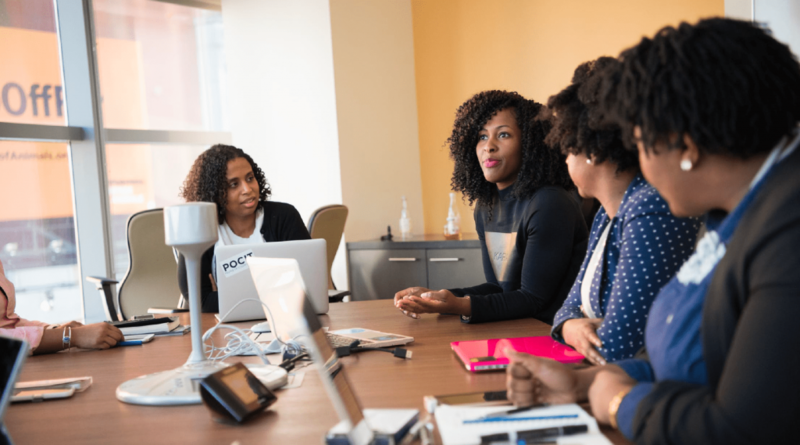 Many business owners will find that they prefer having a team of different minds together where they’re able to bounce ideas off of each other during the decision-making process. So it’s important to take the time to properly analyze whether or not you like the idea of being the end all and be all of your business. 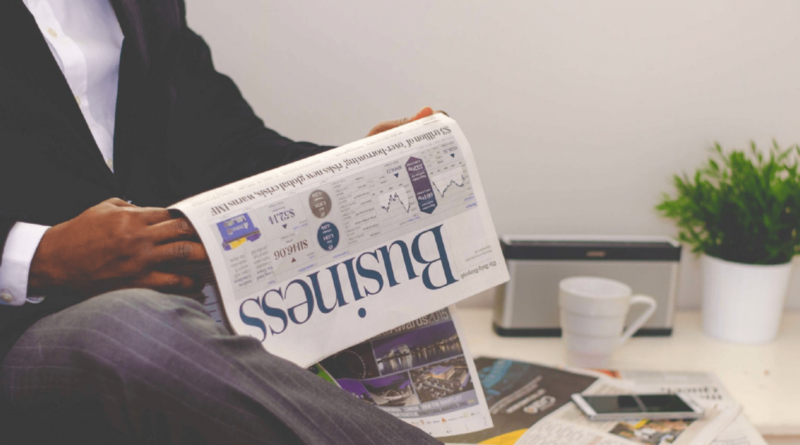 While the initial idea may sound attractive, you may come to find that you prefer having a team of advisors or co-owners around you that are making their own informed decisions based on their personal investments in the business. You go through the troubles of planning your business out as well as getting your shop up and running. It was a struggle but you went through the hardship and are now seeing a decent amount of growth. Only issue is that you really aren’t enjoying the life of being a business owner as much as you thought you would and are starting to miss being an employee that doesn’t have to worry about managing a fully operational business. You’ve come to the conclusion that the life of a business owner isn’t a good fit for you and you make the decision to sell the business to the highest bidder. This is one of the strongest benefits of being a Sole proprietor, if at any time you feel like the life of a business owner isn’t for you, you’re free to sell or transfer the business to whomever you’d like. While you may currently feel like you will never want to sell your business, you never know what the future may hold. You may decide to start a family, choose a different career path, do some extensive travel, etc. these are all decisions that can seriously affect your desire to want to continue running your business. There is a lot of red tape that you’ll have to deal with when starting your business, regardless of whether you choose a Sole proprietorship or an LLC. But you should know that going the Sole proprietorship route is much less of a hassle than an LLC would. This is because starting a Sole proprietorship means that there are fewer forms to complete and next to no government fees that you’re required to pay. Along with that, they’re not required to file any annual reports with the state or federal government. Now that you’re filled in all of the advantages that come with filing a business as a Sole proprietorship, it’s only fair that we do the same for the other side and analyze the benefits of an LLC. 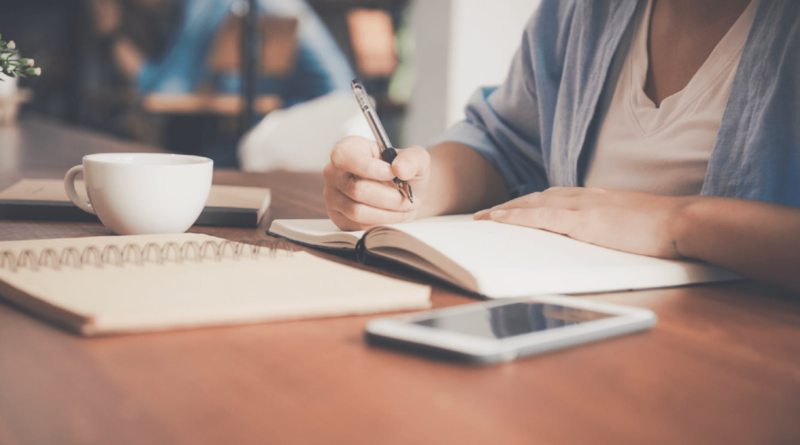 Although you may already be sold on the idea of a Sole proprietorship, you may be pleasantly surprised at the pros that come with starting an LLC. Although we touched on this a bit above, it’s worth it to go deeper in detail. In a Sole proprietorship, the business owner and the business are seen as the same entity in the eyes of the law. So if the business ends up drowning in major debt, that debt can end up falling on the lap of the business owner. Not only that but if you went into a Sole proprietorship with a business partner and they end up getting accused of negligence, your personal assets may end up being put at risk. By choosing to go with an LLC, your personal liability in the company will be limited due to the LLC being legally separate from its owners. LLC’s are responsible for their own debts and obligations, and assets like your home, car, personal bank accounts, etc. can’t be used to collect on the business debts. Many businesses may find that they prefer not to distribute profits equally amongst their owners, they may prefer an unequal distribution or some other formula that doesn’t rely on ownership percentages. For example, say two women started a bar that went on to reach a reasonable level of success in their area. But during one year, one of the women gets pregnant and has to take a couple months off to care for the child and to take it easy while she’s pregnant. Because of this, the women that was pregnant with the child chooses to hand over a good chunk of the bar’s profits to the other woman because she was the one that was holding down the business while she was gone taking care of her pregnancy. This situation displays exactly why an LLC can come to be such an advantage for business owners that want a more flexible set-up for their business. When you think of a well-established business, you think of a business with an LLC. That’s why having an LLC can work as an advantage for your business in the long run. Potential customers, employees, vendors, investors, etc. will be more likely to take you seriously and see your business in a positive light if you obtain an LLC. Starting a business is hard enough, don’t make it worse for yourself by filing as an Llc when you should be a Sole proprietorship and vice versa. While it may not seem like such an important decision at first, it will ultimately have a larger impact than you would expect. No matter whether you go with a Sole proprietorship or an LLC, you’ll need a reliable employee scheduling platform like Deputy that allows you to quickly and easily build and send out schedules to your entire team. To learn more, click on the button below to begin your trial. The post Sole Proprietorship vs LLC – What’s Best for You? appeared first on Deputy. You’re doing a million things at once when you’re at work. You’re answering questions from customers, assisting co-workers with any issues they may be having, checking the inventory of your items to make sure you’re able to keep your shelves stocked, keeping an eye on problem areas that are frequent issues in your store, etc. You’re so busy and your hands are so tied that when you hear your company phone going off, you know you’re too preoccupied to answer the call and are forced to let it go to voicemail. Although it’s unfortunate that you’re missing a call, you know that you must give your full attention to the matters at hand. That said, have you taken the time to analyze your voicemail greeting to ensure that it accurately conveys the tone of your brand to whoever may be calling? When people call a business’s number, they expect to speak with an actual person that can act as a representative for the store and is able to answer any and all questions the customer may have. So when the call is missed, the caller is already a bit agitated that they’re not going to be able to receive the information they’re looking for. One way to ease and even rid of this dissatisfaction altogether is by building a professional voicemail greeting for your business that automatically apologizes for the inconvenience on your behalf, then helps them get whatever it is that they’re looking for. Building a proper professional voicemail greeting is no easy feat though, your voicemail machine only allows for a certain amount of time for you to convey your information and hit all the points that you need to hit. 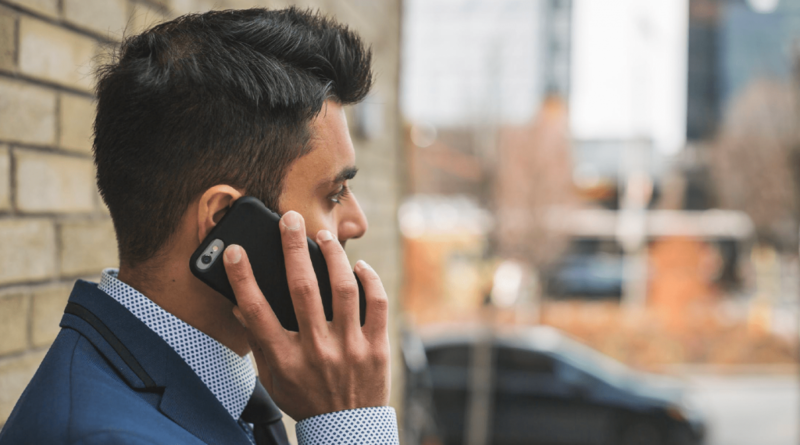 To give you some assistance in building an effective professional voicemail, read on to get some tips & tricks as well as a straightforward guide on creating a great professional voicemail greeting. But before we get into that, do you find yourself missing phone calls from customers way too often? It’s understandable to have it happen every now & then, but if it’s an everyday thing, you risk customers not wanting to contact you altogether. This is most likely a result of not having enough staff on hand and not scheduling them at the right time. One way around this is by using an employee scheduling platform like Deputy, which makes it easy for you to create schedules as well as send out bulk messages to employees if you ever catch yourself in a busy rush and need some assistance. To give you a firsthand impression of what Deputy is capable of, click on the button below to start your free trial. 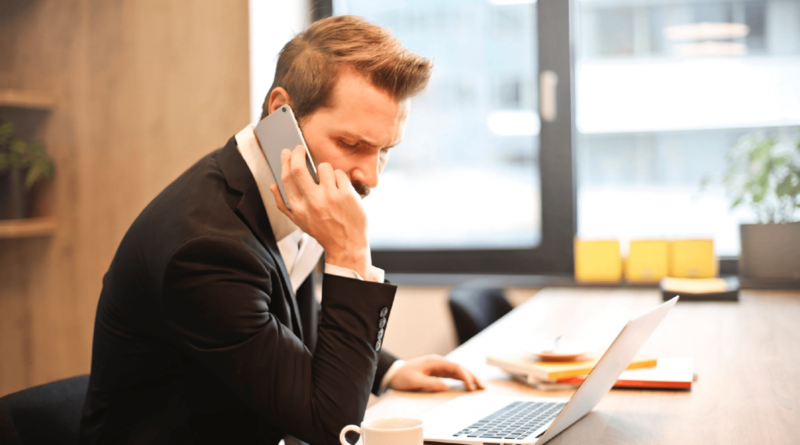 Some business owners and managers may not be totally sold on the idea of taking the time to build a solid professional voicemail greeting and may still think that it’s not all that important. 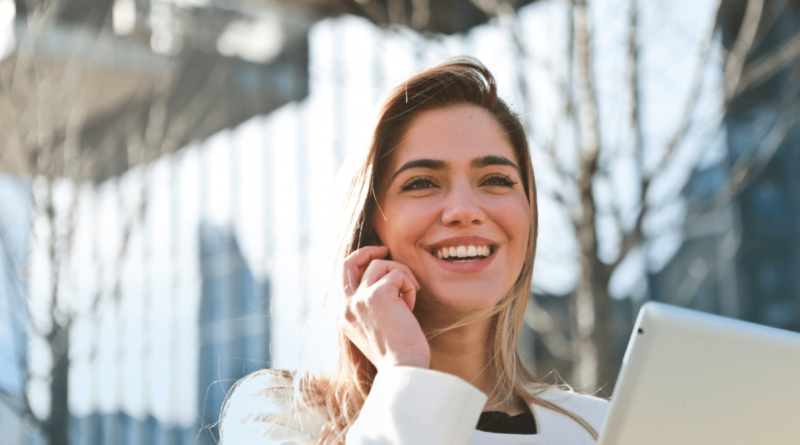 If you’re still stuck on the topic, take a look at some of the benefits below that can help fill you in on the benefits that a proper professional voicemail can bring. You’ve probably been in a situation where you had to call your doctor’s office, car shop, insurance company, etc. outside of normal business hours in order to get important information that you were looking for. Although the shop was closed and you weren’t able to speak with an actual person, the business had an in-depth voicemail system that was able to guide you to whichever information you were looking to receive. Say if you were desperate to find out your member id from your health insurance provider, you’d still be able to receive that information from an automated voicemail machine from your health insurance provider that is able to accurately guide you through the options and lead you to the information that you’re looking for. This is why a professional voicemail greeting is so effective, if your business is constantly receiving calls asking for updates and other standard information that is typically asked about, you can set up your greetings so that customers are able to find answers to commonly asked questions. Another great example is if you own a store that sells shoes or some other fashion items, if there are a high-demand pair of shoes that are set to be released soon and your shop is one of the only businesses that will be stocking them, then it would be a good idea to update your voicemail to inform customers on what they can do to purchase the shoe, alert them when you run out of stock, etc. If your funds are stretched pretty thin, you’ll most likely not be able to afford a full-time receptionist. This is especially true if you’re a retail business where it’s typically unusual to have a full-time receptionist on hand. With a professional voicemail greeting, you can enjoy the benefits of a receptionist without having to pay for one. Saving you a ton of money down the line. Is there a common issue or topic that your customers regularly call about? If you’re being overwhelmed with questions or complaints around a single topic, then that should serve as evidence that you need to work on the areas where those complaints are coming in as well as providing an easier way for customers to receive answers for commonly asked questions. With a proper voicemail system, you’ll be able to go back through your messages to see which topics are frequently brought up so that you know which areas of your business need the most improvement. Not only that, but if there were any misunderstandings that were to occur between your business and a customer because of a phone call, you’d be able to go back and revisit the call to get to the bottom of the issue. No one appreciates being put on hold, this is especially true for the customers of your business. It is infuriating and the person on hold is likely to just hang up and take their business elsewhere. With a professional voicemail for your business, never worry about placing a customer on voicemail again. Not only that, but you can instill a virtual directory that enables the caller to directly reach the person that they’re trying to speak with. If you train your staff to let every call go straight to voicemail, then that gives your employees the opportunity to take their time with each call and to come up with the best possible response for the caller and to have any critical information or details on hand. This strategy is commonly seen in doctors offices where the voicemail is built to direct callers to the areas that they are specifically searching for. Now that you’re aware of the benefits that come with having a professional voicemail greeting for your business, let’s get into the technical aspects of putting one together along with the tips & tricks that can help you along the way. When people call, you’re going to want to assure them that they have reached the correct business as well as the correct location of the business. This may seem like a no-brainer but you’d be surprised by how many store’s voicemails are nothing more than a simple, “No one is available to answer your call goodbye.” Along with that, you want to make it easy to reach the different departments if you’re running a bigger store that has sections like customer service, deli, bakery, electronics, etc. The best part about receiving customer complaints or concerns through a phone call is that they aren’t Yelp reviews that are seen by anyone that Googles your store. That’s why you need to assure all callers that you will absolutely respond to their messages. 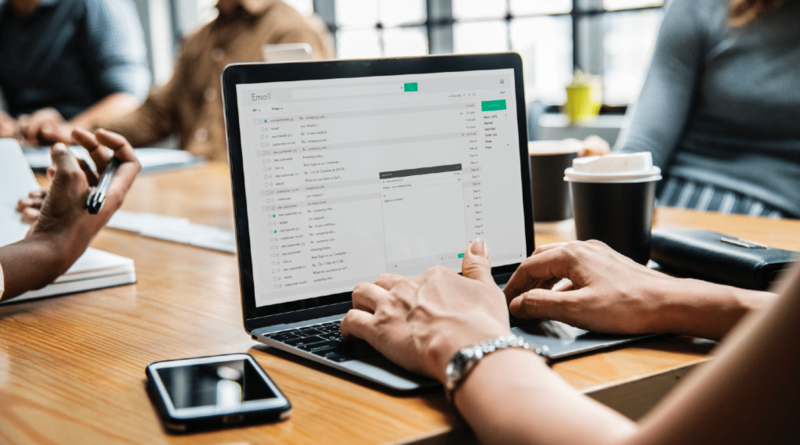 To make it easier on the customer and yourself, make sure to give them the option of leaving their email instead if that’s their preferred method of communication. When you return your customer’s calls, it goes a long way in making them feel like a respected customer. It will also go a long way in lowering their frustrations that may have stemmed from a faulty product, unsatisfactory customer service experience, etc. 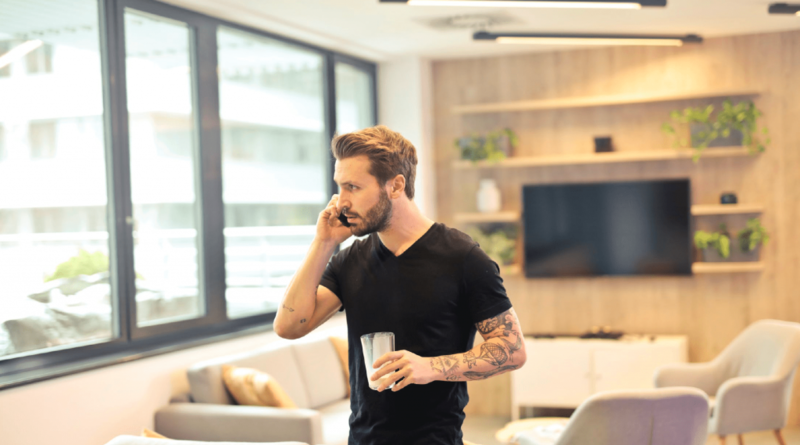 So make sure that you’re doing everything you can to respond to each and every voicemail, as well as implementing strict procedures within your staff for how they should respond to phone calls. These procedures should include responding in a timely manner, providing top-notch customer service to properly represent the brand, as well as having any relevant information at the ready so they’re able to assistant callers as efficiently as possible. If you’re a major hospital, your professional voicemail greeting will sound much different compared to a hardware store. If you’re a mom & pop burger shop, your greeting will sound different compared to a large department store. The point is you shouldn’t be hesitant to mold your voicemail to better match the tone of the business you’re running. Not only is it great for solidifying your brand, your customers will appreciate the authenticity as well as the consistency of your message. Though, no matter which tone you end up going with, rest assured your customers will be expecting good customer service regardless. Whether there is a major snowstorm that forces your business to close early or it’s the holiday season and you’re so busy that you have to inform callers that it’ll take a bit longer to return their calls. Remember to constantly update your voicemail with any relevant news regarding your store. This involves any reasons for early closings, being closed on days you’d normally be open, and any new product offerings that customers may be calling about. Your customers will appreciate it and it’ll make it easier on yourself. With you now being fully aware of what it takes to build a great professional voicemail greeting, it’s time that you understand some basic tips for making sure your recording goes well and that you aren’t spending all day having to re-do your recordings. This may seem like a no-brainer, but you’d be surprised by the number of store’s that have voicemail greetings with a bunch of distracting noises in the background that make it difficult to listen to what they’re trying to say. This is extremely unprofessional and will reflect poorly on your store. That’s why you need to schedule your recording for when your store is nice and quiet, or do your recording in a quiet area where there won’t be any distractions. While you’re making your recording, it’s understandable to be a bit nervous and anxious about how you sound, but that is no excuse for putting together a voicemail greeting that your callers are unable to understand. During your recording, remember to speak slowly and to enunciate every word so you don’t end up with a bunch of messages bad-mouthing how ineffective your voicemail greeting is. Whenever you’re in a situation where you’re unable to answer a customer’s phone call, your professional voicemail greeting is going to function as the voice of your brand for that customer. So the time you put into assuring that it sounds and feels professional is time that’s well spent. Another example of time that’s well spent is starting your free trial of Deputy so you can get a first-hand experience of how effective it is at optimizing how you build your employee schedules. Click the button below to get started. The post How to Build a Professional Voicemail Greeting appeared first on Deputy. Go ahead and imagine the most effective meeting you’ve been part of. It was probably a high-energy event, where everyone got an opportunity to express opinions and ask questions. The team members joined forces to solve an issue or make an important decision. Things were well-planned, but the meeting did not seem forced at all. That’s the idea of a perfect team meeting. When you try to engage the team to such a level and you do your best to plan the perfect team meeting, things might not turn out that well. When it comes to arranging meetings with hourly employees, things are even more difficult. These people haven’t spent much time with each other, so it’s hard for them to consider themselves as being part of a team. They just don’t feel that collective energy. Why does that happen? Why do team meetings fail sometimes? Good planning makes all the difference. A great team manager will invest a lot of effort to organize such an event and create the perfect climate to inspire creative and critical thinking. They won’t allow any challenge to stop them from achieving their goal. If it’s a team meeting with hourly employees, they will effectively manage it. Everything starts with your own attitude. If you don’t like meetings and you’re constantly procrastinating them, your chances of having a great one are slim. If your answer to that question was “not particularly,” then you have to alter your mindset. The purpose of a meeting is to motivate, trigger collaboration, inspire, inform, solve problems, and make decisions. All these things are crucially important for the success of your organization. A manager’s job description is not limited to occasional conference calls, even when you’re dealing with remote employees. You’re a leader and you have to work with these people. The meetings give you a chance to do that in the best way possible. Start seeing the meetings not as a burden, but as an opportunity! They can be fun. They give you a chance to get to know these people and recognize their strengths. They might give you ideas you never thought of, so you’ll move the organizational processes forward. Shift your mindset! That’s your first step towards planning a great meeting. Will I have to speak up? I’m not ready. What’s this meeting about? What if I don’t know how to answer the team leader’s questions? Oh, but my work is not ready yet! There’s still a long way to go by the deadline. What could I possibly talk about at this point? I have some ideas, but what if they don’t like it? Should I just keep them to myself? Meetings can be scary. That’s why you have to get your employees used to them, so they don’t anticipate a stressful environment. You can do that by simply explaining what the meeting is about. You see? That kind of message will calm everyone down. They won’t be expected to be asked for reports. They will catch your calm and friendly vibe and it will spread on them. Well, that’s a good way to scare everyone off. You’ll create stressful anticipation of something really important. The members of your team will feel like they are not prepared enough, and the stress levels will get higher as the hour of the meeting gets closer. Hourly employees plan their time very carefully so they will be able to fit both work and family responsibilities into their schedule. An unannounced meeting causes a mess in their plans. Plus, they will be wondering what they did wrong and they won’t expect a positive meeting environment when you make the event such an urgent thing. You don’t want a stressful environment! When you’re planning an important meeting, it’s important to prepare the attendees for it. You should give them a clear idea of what you’ll discuss so they can prepare their ideas. Be relaxed and don’t impose the vibe of something extremely important happening. It’s just a relaxing meeting, where everyone will get a chance to discuss their ideas. Find a way to communicate a meeting efficiently. Consider using a communication platform that everyone can view and reply to. Deputy makes it easy for managers to communicate and see their staff’s availability. By implementing an employee management software, your employees will be empowered and in control of their schedules. Interested in learning more? Sign up for a free 30-day trial below and see how Deputy can transform your business operations. Have you ever been part of a messy meeting? The team leader couldn’t direct the discussion to a productive direction, and you all felt like you were just wasting your time. That’s because the team leader failed to prepare an agenda. An effective meeting requires a framework, which will help you maintain everyone’s focus. Plan what issues you’ll discuss and how much time you’ll devote to each of them. Don’t forget to include this agenda in the notification about the meeting so everyone will get a chance to prepare well. If, for example, you expect people’s ideas on a specific matter and you plan to devote one hour of the meeting to this point, your employees will appreciate the chance to get ready beforehand. They will come to the office with notes, so you won’t waste time explaining what kind of ideas you want and giving them time to think. If you need to explain something new to the team members, prepare a presentation. An effective presentation will spice things up! If you don’t have time for it, the writers from AustralianEssays can definitely help. If you do have time to complete the presentation, use an attractive, but sleek theme and capture all main points you plan to cover. Ask for everyone’s input on the agenda before the meeting occurs. The team members should be able to contribute towards this plan, so you’ll consider all ideas. Organize one perfect meeting that’s fun for all team members, and you’ll eliminate their negative expectations for such events once and for all. The meeting should never be boring. Even when you’re doing your best to create a great presentation and invite everyone to speak, you don’t want to get your team used to the same scheme. Engage them in an unexpected team building activity. Of course, your meetings need structure. The agenda will give you that. However, spicing things up with different activities for each meeting will create a positive attitude towards these events. Remember: the meeting is not only about giving and getting feedback. It’s not only about strict professionalism. It’s also about building team spirit and encouraging your staff to get to know each other. You’ll achieve that goal only if you introduce a fun element into the process. Don’t worry; you don’t have to sacrifice professionalism for the sake of fun. There’s room for everything in a team meeting. If your agenda is too strict, when will you allow creativity to happen? If, for example, you expect to give a presentation for twenty minutes, have a discussion for twenty minutes after that, and get suggestions for twenty minutes before the end, you’re providing a very strict schedule. But what if the discussion takes longer than usual? What if your team members get heated up about a certain issue and they start discussing in length? You cannot cut them off right in the middle; you want those issues solved in the best way possible and you need to give them time to express themselves. You should leave some “white space” in your agenda. That’s the space that allows spontaneous engagement to occur. Some of the issues you plan to discuss may awaken the creativity of your team. Some of the attendees might have brilliant ideas to share, and they will spark a great discussion during the meeting. If your agenda is too tight, it won’t leave any space for creative engagement. So leave at least half an hour of “white space” and be flexible if the team doesn’t want to follow the agenda step by step. Have you noticed there’s negative energy between some members of the team? Sparks fly when they are together in a room! That often happens in the office environment, and it even happens with hourly workers who meet each other for the first time. If there are two dominant personalities in the room, they might clash. If there are two or more very opposing points of view, the discussion might get out of hand. Even if everyone likes everyone, there are some issues that drive people to heated discussions. Whatever the case is, you have to be prepared for drama at all times. If a conflict occurs during the meeting, you’ll be the mediator. 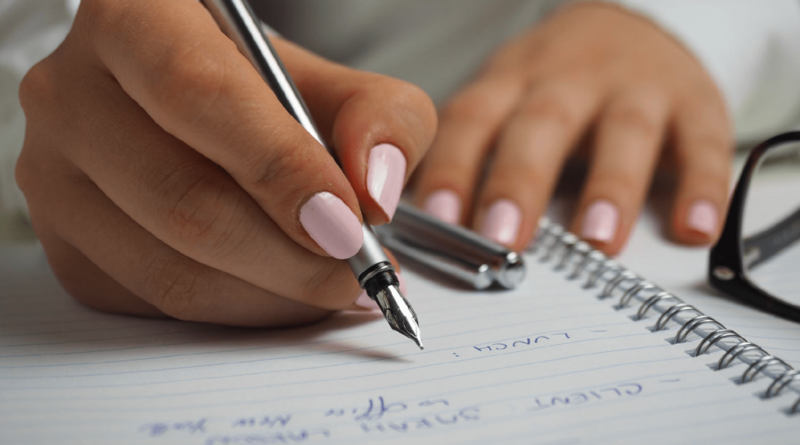 It’s important to come down to a quick and effective resolution, so the event can proceed as smoothly as possible. First of all, you need to stay optimistic. Do not try to lecture anyone. Just give them the space they need to express themselves, but act with questions and comments whenever you want to calm them down. Do not take sides. During a meeting, everyone should feel free to speak up, but they don’t want to position themselves against the manager. Just listen to all sides, appreciate their input and share your decision in the most neutral way possible. When you see a problem in someone’s point of view, address the problem without attacking the person. Each team consists of diverse personalities. Some of its members may be too active. They are always after the spotlight and leave no space for others to shine. They will be the dominant people in the meeting and they will overwhelm the introverted personalities. That doesn’t mean that they are the only ones with something important to say, though. Others are withdrawn and stay quiet throughout the entire meeting, even when they have great things to say. Maybe they are in this environment for the first time. Maybe they have social anxiety and they struggle whenever they are supposed to speak in front of an audience. As a team leader, you have a responsibility to create a nice communication flow and engage everyone. Make sure that each team member gets the deserved attention, and don’t allow the dominant personalities to take over. You’ll do that by triggering a calm conversation that’s not too formal. When you notice someone taking the spotlight, ask the others what they think about those ideas. Do you know why some managers don’t like to plan their meetings? They believe that preparation kills the spontaneous engagement. They are wrong! Proper planning always leaves some space for flexibility, but it also provides the structure that each meeting needs. Plus, it helps you prepare yourself and the entire team for the event. Hopefully, the tips above will help you plan the perfect meeting. Such an event will change the entire team’s perception towards meetings! Creating a work atmosphere that is open and flexible can be difficult. It’s critical to give your staff an easy way to stay informed, share important messages, and contribute to the workplace conversation. Deputy’s leading workforce management software is used across the globe to schedule, track time, and communicate with employees wherever they are. To learn more about how Deputy is helping organizations improve their internal communication, try out a free 30-day trial of our product by booking a live demo below. The post How to Prepare for a Team Meeting appeared first on Deputy. Over 50% of YouGov respondents say more control over work and life patterns would aid staff retention. Deputy recently commissioned a survey with YouGov to better understand the low retention rate in the UK hospitality industry. Unsociable working hours, low pay and benefits, and lack of career prospects are the top three reasons why the UK hospitality sector suffers from an annual staff retention level of just 70% (vs UK average of 85%). We worked out that the hospitality sector has an employee turnover rate of 30% (3 out of 10 workers leave their role within a year) – double that of the UK average – and is forecast to get worse as a ‘Brexodus’ of EU workers are set to rock the hospitality sector over the next few years. The UK hospitality sector is the third largest private employer in the UK and could face a significant shortfall in the talent pool. Many in the hospitality sector are worried about what Brexit will mean for the workforce. As the talent pool dries up, increasing retention in the hospitality sector over the next few years is vital. We used the survey to discover the real reasons people leave the hospitality sector and what might be done to retain more talent. Close to half (42%) of GB employees are either employed in the hospitality industry or have worked in it at some point. 40% believe it is viable to have a long-term career in the hospitality sector, rising to 62% for those who currently work in the hospitality sector; just 20% overall said they didn’t think it was possible. When asked why they took their most recent role in the hospitality sector, 40% of respondents who have worked or currently work in hospitality said they took a job in the sector because it was the only one available at the time. 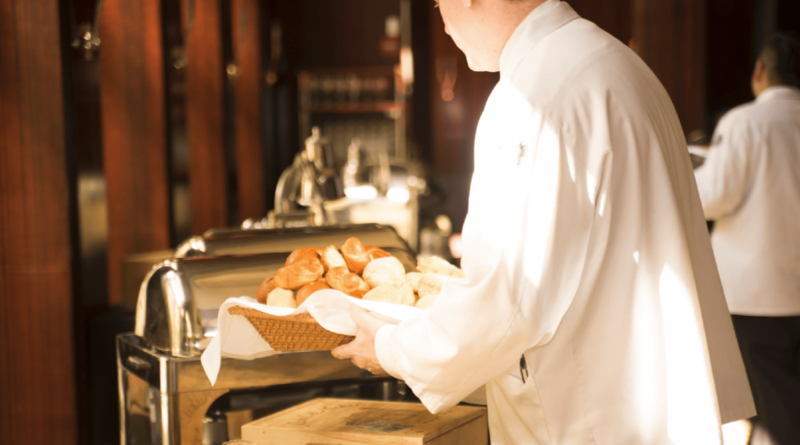 44% of those who have worked in the hospitality sector said it was their main occupation, while 38% said they did it while in education and 15% said it was a second or third job, meaning more than half could be labelled ‘casual workers’. One statistic that stands out is that the majority of GB employees (55%) feel more control over work and shift patterns would make hospitality workers less likely to leave or look for a job in a different sector. This is something that Deputy can help with as companies are trying to deal with staffing issues, and free up time from admin tasks that should be consigned to the 20th century. After better pay, the survey showed that workers want more control over their working lives and more stability. Anyone who has worked in the hospitality sector knows what it feels like not to know when you’ll be working week to week. It can be stressful and limits your ability to plan and make the most of both work and ‘down’ time. Using the data from the YouGov survey, Deputy has compiled a detailed report which explores the current state of the UK hospitality sector, the gathering storm of challenges that look set to exacerbate the staff retention issue, along with potential solutions both from an industry and individual business perspective. If you want to read more, download the full report below. Survey figures, unless otherwise stated, are from YouGov Plc. Total sample size was 1,006 adults. Fieldwork was undertaken between July 4-9, 2018. The survey was carried out online. The figures have been weighted and are representative of British business size. 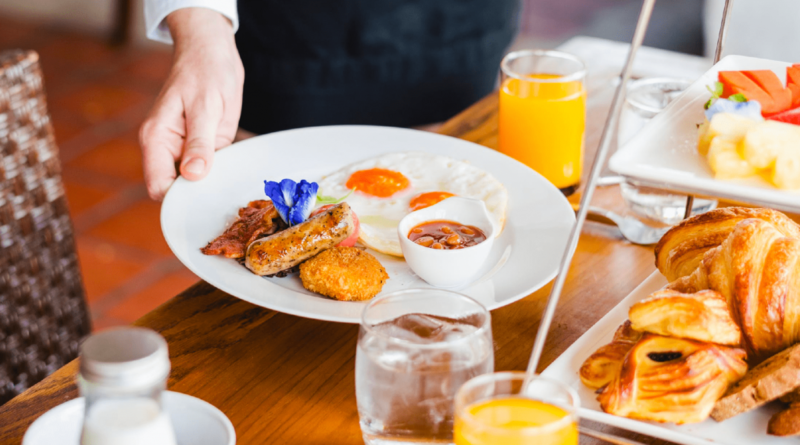 The post Retaining British Hospitality Workers – How the UK Can Avoid a Crisis in the Hospitality Sector appeared first on Deputy. What is SKU in Regards to Retail? A stock keeping unit, or SKU as it’s commonly abbreviated, is a product and identification code that is assigned to a particular product or store. They’re typically shown as a barcode that’s readable by machines which work to track the item for that particular store’s inventory purposes. Also, SKU’s aren’t solely assigned to physical products in the inventory, they’re also used for intangible services like warranties, repairs, house cleaning, tutors, etc. In short, whenever you’re analyzing your inventory in your POS or accounting system, a particular product’s SKU gives you the opportunity to track unique information in regards to the product. SKU’s are also very particular, in that each retailer has their own set of SKUs for all of their merchandise. 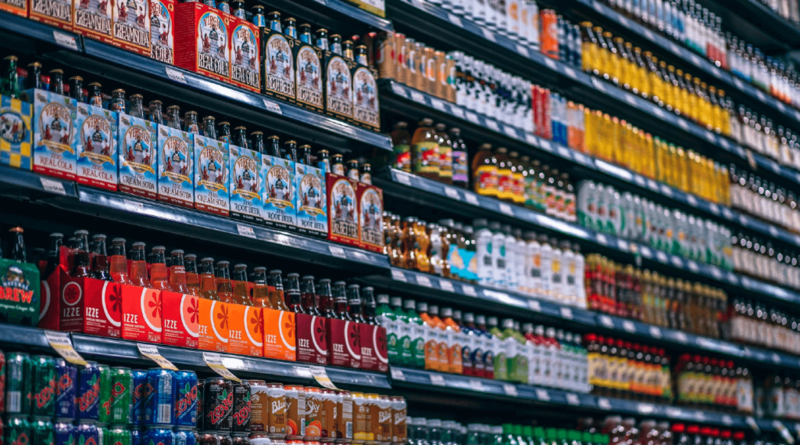 To give you a better idea of why SKU numbers are so valuable to retail store owners, take a look at some of the benefits below. A drawn-out SKU system can make any tasks related to customer service or check out move much quicker, as well as with much fewer errors. 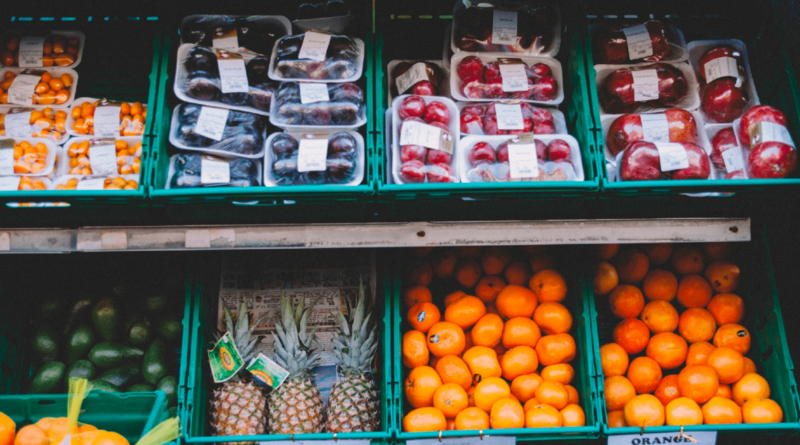 For instance, when you use a POS system to track products using their SKU numbers, the numbers work to ensure the accuracy of all of your inventory as well as assuring that your pricing is correct. So during the customers’ check out process, their purchases will automatically ring up with the correct pricing for that particular product. Along with that, the quantity-on-hand amount that you have for that particular product would be automatically reduced by the amount that the customer purchased. To expedite the check-out process even further, you can also utilize scannable barcode labels on all of your products that will enable your cashiers to check products out even faster. 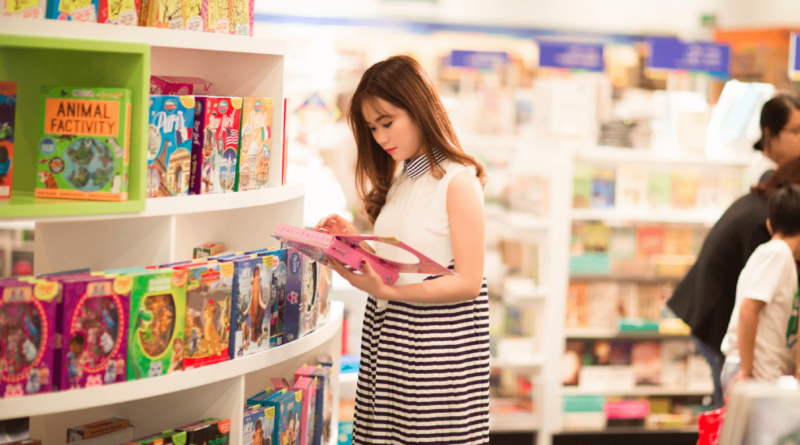 Another way that SKUs can help your customer experience is by giving store employees the ability to quickly look up an item for a customer to see if you all have it in your inventory. This is accomplished by inputting the SKU number into the store’s POS system, which will display if whether or not the item is in stock. Your staff is then able to locate the product for the customer, thus giving you an extra sale along with improving your store’s reputation by providing excellent customer service. As you can see, SKU numbers provide plenty of real-world advantages for improving your overall level of customer experience. 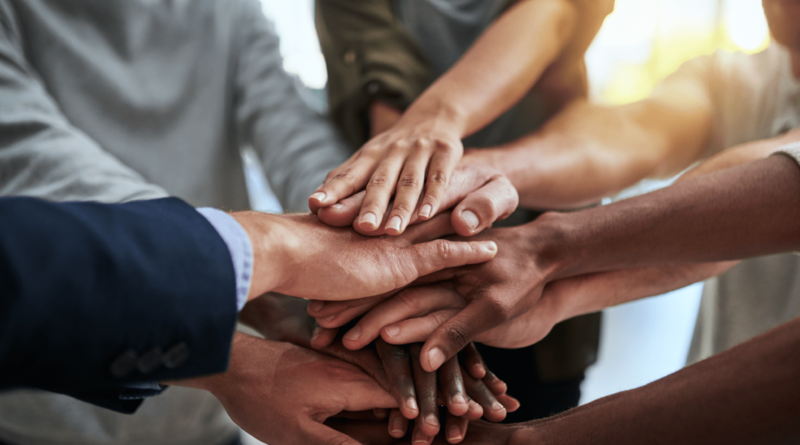 Another real-world advantage for improving your customer experience is by assuring you always have enough employees on staff to help customers with any issues or questions that they may have. The best way of achieving this is by using an employee scheduling platform like Deputy, which allows you to easily build and send out your employee schedules. To learn more, click on the button below to begin your trial. This works to give your store a more organized feel as well as providing your customers with an inviting, easy shopping experience that will keep them coming back which equals to more profits made for your organization. 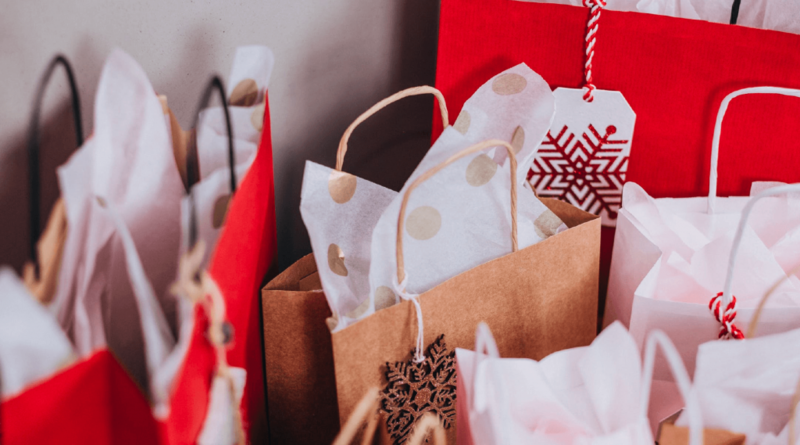 Another area that is crucial for providing a great shopping experience for customers is having enough employees scheduled at all times so your customers are able to find help whenever they need to. If you’re having issues with your employee scheduling, click here to of Deputy. Are you aware of what shrinkage is in the world of retail? 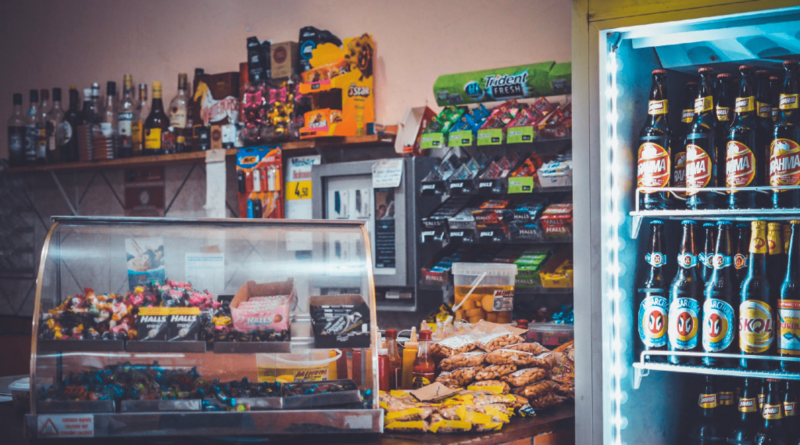 In short, it’s the loss of a store’s inventory that can be attributed to shoplifting, employee theft, vendor fraud, damage that occurred during transportation, cashier errors, and inventory management errors. Retail shrinkage is no small issue either, in fact, retailers lose an average of $60 billion each year due to shrinkage. 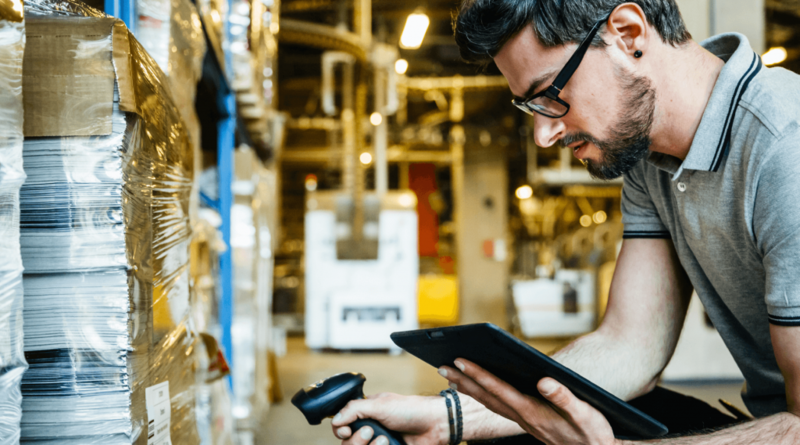 While employee theft accounts for the majority of the money lost from retail shrinkage, inventory management errors made during the intake of new shipment is also an area where a substantial amount of money is lost for retailers. These errors are much worse than a typical employee error because they cause a domino effect that will cause much larger issues down the line that can really hurt your organization. This is where SKUs can really help your retail store. They provide a manageable way for you to track all of your inventory down to the last item, as well as being able to quickly recount the number of items you have in stock. Here’s an example that can better demonstrate what I’m talking about: Say you’re running a health supplement store and aren’t using any SKUs to organize the items in your stockroom. You go to restock a particular brand of protein powder that your store has just run out of on the floor, only to find that you’re unable to find the protein powder in its typical spot in the stockroom. So you immediately go to order an extra shipment of the item. After you get done and head back to the store floor, you notice that one of your employees is re-stocking the empty shelf with the protein powder that you thought was out of stock. After speaking with them, you both head back to find that you did have an extra batch of the protein powder in stock. It’s just that an employee placed it in the wrong section, so you assumed that you ran out of stock of the item when you really had enough to last you until the next shipment. So you hurry off to see if you’re still able to cancel the extra order that you made. The example above displays exactly how SKUs work to strengthen your inventory management procedures and assures that you don’t end up spending extra money on inventory you didn’t even need in the first place. If the manager in the above example had SKUs for all of their merchandise, then they could have simply looked up the item rather then looking in their stockroom and seeing in their systems that they indeed had the particular brand of protein powder in stock in the back. Not only that but if your store also has an e-commerce platform to accompany the physical store, SKUs will allow your visiting customers to see if you have particular items in stock. Completely eliminating the need for them to call your store or to come in and check in person. Although you may solely be focusing on selling to the individual customers that walk into your store, you never know where the future can take your organization. It is possible that you scale your operations by so much, that you end up selling wholesale to other stores. While this would be a great way to grow your brand as well as make more money, the stores that you sell to will definitely expect you to have SKU number to accompany the products you sell to them. That’s because these stores that you’re selling wholesale to will expect your items to come with SKU numbers so they’re able to set the different kinds of items apart. This is especially important if the store sells multiple sets of similar items like red shirts, queen sized bed sets, different brands of the same color of paint, etc. Now that you’re better aware of how SKUs work to benefit your business, it’s about time you get introduced to SKU’s brother, UPC (universal product code). The reason that I call them brothers is because they are both numeric based codes that are specifically assigned to products. The main difference lies in the fact that UPCs are standardized for business use and once they’re scanned, anyone is able to read their product description. SKUs on the other hand, are solely used for inventory management purposes as well as for internal operations. If a product has a UPC code, that code will stick with the product for the duration of its entire existence no matter where it ends up being sold. 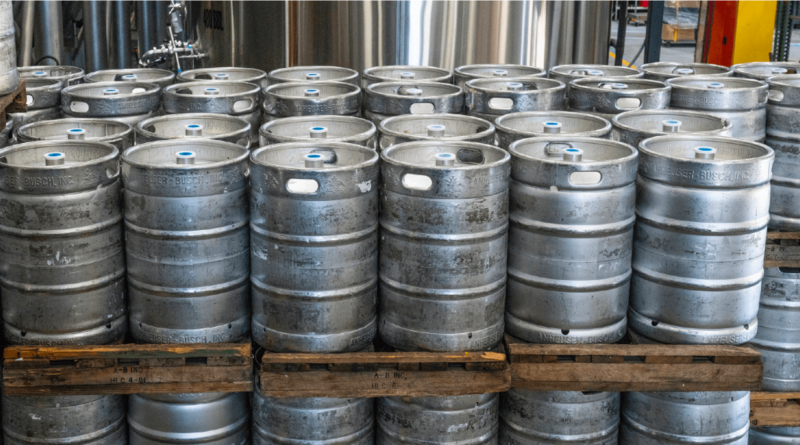 An SKU is only specific to a particular company, so if it were to be resold by a different company, it would adopt a completely different SKU. 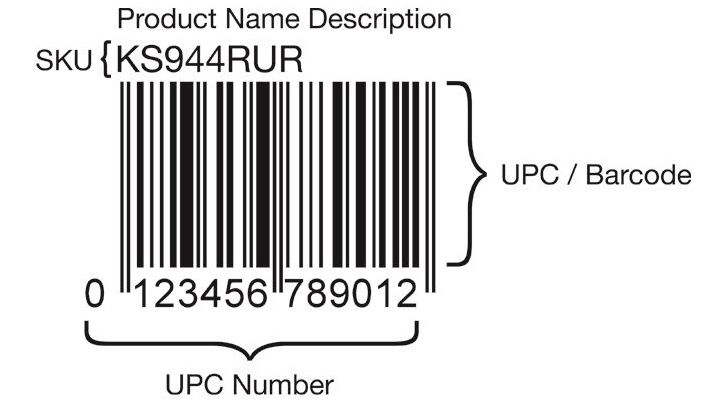 While if a product with a UPC code were to be resold by a company, it would retain the exact same code. Another difference lies in their structure, UPCs are designed to be barcodes that have 12 digit codes assigned to them. They only contain numbers and no letters are used. SKUs on the other hand, only have 8 digits that contain both numbers and letters. To summarize SKUs and UPCs, SKUs are used solely for internal purposes while UPCs are for external reasons. With you now being caught up to speed on how and why SKUs are able to benefit your business, along with how they differentiate themselves from UPCs, let’s take a look at how you can begin to create your own SKUs to be used for your own store. Now don’t go off thinking that it’s as simple as slapping a bunch of numbers and letters together and calling it a day, there are many intricacies that go into how they are made that allow them to be as effective as they are in organizing inventory and keeping your systems updated with correct information. So pay extra close attention to this section so your SKUs accomplish what you need them to. Each and every SKU number comes with a set of top-level identifiers that may represent a specific department, category of item, or manufacture. They are typically the first 2-3 characters of the SKU number and allow you to immediately know the exact group as well as the location of any product in your inventory. If you also run multiple locations for your brand, these first set of numbers can also identify an exact location. In the above example, you can see that the letters “KS” represent the top-level identifiers for that particular SKU number. After the first top-level identifiers, comes the mid-level identifiers that are located in the middle of the SKU number. These middle set of numbers are used to assign unique features like size, color, and type of item, as well as any other subcategories that may be relevant to that particular product. In the above example, the numbers “944” represent the mid-level identifiers for the SKU number. The last part of the SKU number is the ending sequence of characters that work to help you identify older items when compared to newer items, as well as being able to associate the SKU back to its original manufacturer. They vary greatly depending on the product that you’re selling, so make sure that you research what would be best for your particular line of products. If this is your first time dealing with SKUs, then you may be confused as to how to best categorize your SKUs so you’re dividing them up into appropriate sections. Take a look at a few of the suggestions below to get a better idea of identifiers that can be beneficial for your store’s items. If your brand has multiple locations, then using an identifier that correlates with the location of the item would be great for keeping track of the number of sales for each particular location as well as the number of items in each store’s inventory. If you’re selling items that come in different sizes, colors, etc. then variation identifiers are useful for your staff as they’re easily able to differentiate different products that may look similar. Another option is to separate them by department so your staff is able to easily locate the correct areas where each item is located. SKU numbers are useful for retail businesses due to their ability to organize their store as well as optimize their inventory management systems in a way that makes it easy for business owners to stay on top of areas like item quantity, dates that items were received, etc. Aside from utilizing SKU numbers, another way store owners can better their stores and bring in more profits is by ensuring they’re using a robust employee scheduling platform that makes it easy to build employee schedules so their managers can focus on other areas of the business. To learn more on how Deputy can make your manager’s day easier, click on the button below to begin your trial so you can see it in action for yourself. The post What is SKU in Regards to Retail? appeared first on Deputy. A pop-up restaurant is a term used to describe a temporary restaurant that pops up during events or in other spaces that experience a lot of foot traffic. They vary wildly in size to set-ups the size of phone booths all the way up to actual buildings that are set-up temporarily. They can also appear as food trucks, which is primarily how the recent pop-up restaurant craze started in the first place. Also, with the advent and rise of social media, brands are able to thoroughly promote the appearances of their pop-up restaurants at various locations. For example, if a New York based sandwich company recently purchased a food truck and was planning on making a trip to Chicago and Philadelphia, then they could assure that their fans in those areas are aware that they’re coming by broadcasting the news on their social accounts. Now that you’re better aware of what pop-up restaurants are exactly, let’s move onto who pop-up restaurants are best fit for. Who are pop-up restaurants best made for? While pop-up restaurants can be useful for a wide variety of people, there are certain situations where they are especially effective. One of which is a brand looking to expand into different cities and wants to test the areas before making a full on investment. Through the use of a pop-up restaurant, they can get a better idea of whether or not the restaurant would be popular in the area. Another group are chefs looking to test the popularity of a new dish that they are uncertain of. With a pop-up restaurant, they can gain immediate feedback on their new recipes without harming the reputation of their physical stores. Entrepreneurs looking to begin their own brands can also make great use of pop-up restaurants. They give them the opportunity to get a taste of what the restaurant industry is really like along with helping with getting their name out there. These are just a few groups that are in a position to greatly benefit from the effectiveness of pop-up restaurants. 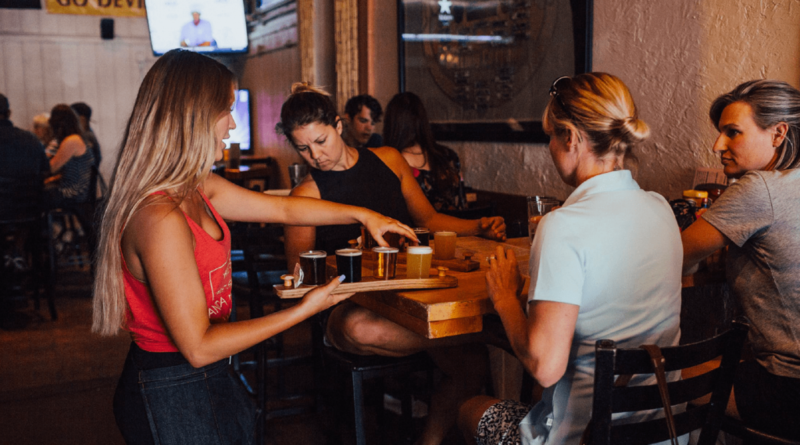 Another aspect of the restaurant industry that they’re gaining exposure to is having to organize and build employee schedules, which is often much more problematic and time-consuming than new business owners originally thought. To make sure that you get your employee scheduling situation straightened out before it grows to be a bigger problem, click on the link below to start your free trial of Deputy. Whether or not you’re aware of it, you most likely see pop-up restaurants frequently throughout your day. Carnivals, festivals, malls, busy boardwalks, as well as a number of other environments are known for being hot spots for pop-up restaurants to present themselves to the world. This is because these environments are known for attracting heavy foot traffic that would make a pop up restaurant a profitable move for their brands. That said, opening up at a good location doesn’t guarantee success, in order for a pop up restaurant to be profitable, they need to be able to attract new customers that have never heard of the brand before. While that is no easy task, the benefits that come with a successful pop-up restaurant make the effort all worth it. A pop-up restaurant provides a number of benefits over opening a permanent restaurant location. While a permanent restaurant is typically a large investment in time, money, effort, etc. The demands of a pop-up restaurant are much smaller and less stressful than a typical restaurant all while still providing a number of the same advantages. Here are a number of benefits that come with the opening of a pop-up restaurant. Maybe your cheeseburger shop would like to experiment with a new burger that is all vegan, but would like to try the item out in a situation that won’t risk tarnishing your brand if your regular customers don’t like it. This is where a pop-up restaurant comes in handy! Just make sure that you’re in an area where people would be likely to try out your new menu item. In this case, the cheeseburger shop is trying out a new vegan option, so an area where people are more health conscious or an area with predominantly women would fit best so that they’re more likely to order the new menu item which gives you a way to gauge how successful the new item is by getting direct feedback from customers. 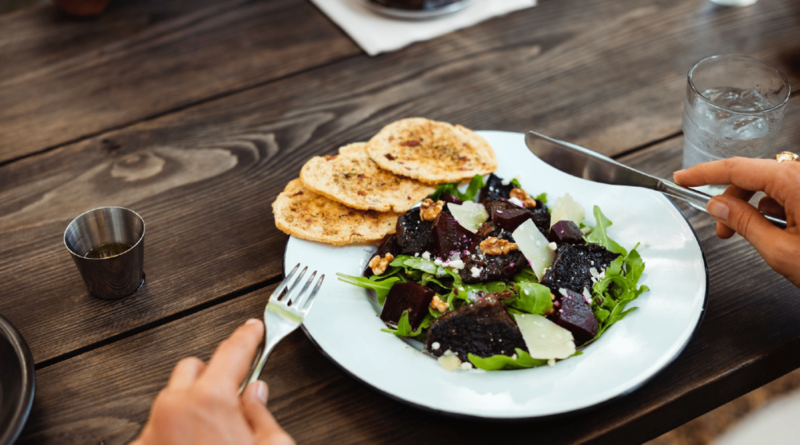 Whether you’re a new restaurant or a well-established brand, a pop-up restaurant is a great opportunity for you to test a particular location to examine whether or not it would be a profitable idea. There are a number of factors that go into determining whether or not a new location would be successful for your brand, you have to look at foot traffic, culture of the area, car traffic, etc. and while market research is a great way to get an idea of the above factors, your safest bet is by testing the location out yourself. You never know, the location that wasn’t your first pick could end up really surprising you. One of the biggest reasons why pop-up restaurants are so successful is because they create a buzz amongst people in the area that encourages them to come check out the shop before it goes away. This attracts all the foodies close-by to try out the menu and spread word of the brand online and in-person. All in all, pop-up restaurants create an urgency among customers that is great for brands trying to spread the word and get themselves better established fast. Restaurants cost money, a LOT of money. They’re so costly that financing one without outside help can be downright impossible. That’s why many prospective restaurant owners frequently look for help in the form of investors and other financial lenders. While these avenues may provide a fix for their financial woes, securing a loan can be a difficult task for a number of people. During the process of receiving a loan, the lender will want to know every aspect of your business to assure that they’re making a safe investment and that you’ll be able to pay them back. One of the best ways of convincing them that your idea will be profitable, is by hosting a pop-up restaurant where you’ll be able to use actual results and data to demonstrate just how profitable your idea is. Remember that all they are really concerned about are your numbers, so keep thorough accounts and records of how much you spent compared to how much you made in regards to your pop up restaurant. Also, make sure that your pop-up restaurant is in an area similar to where you would like to open up your own restaurant so you have an easier time convincing lenders that the results of your pop-up restaurant will mimic the results of your physical store. 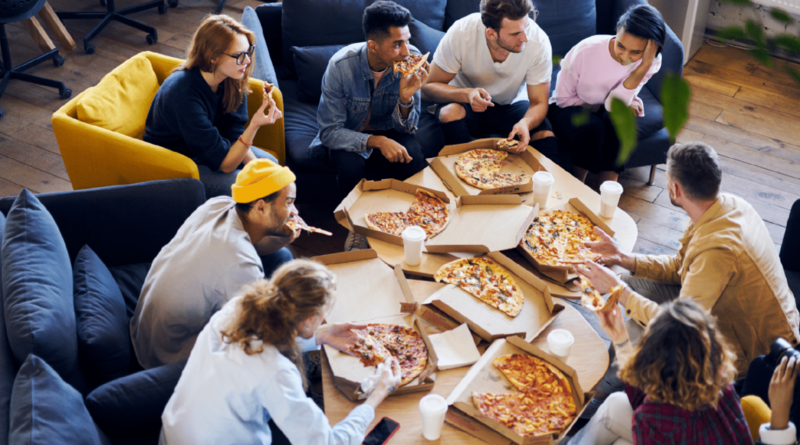 Not everyone can afford a big fancy marketing campaign that spans multiple media avenues that includes commercials and billboards, that’s why pop-up restaurants are so useful for business owners trying to spread word about their new restaurants. They give you an opportunity to showcase your brand by giving people a (literal!) taste of what your restaurant will provide the foundation for establishing your own restaurant. Now that you’re better aware of the benefits that come with a successful pop-up restaurant, let’s take a look at some tips for starting and maintaining your very own pop-up restaurant. While starting a pop-up restaurant is typically easier and much cheaper than starting an actual restaurant, it can still prove to be troublesome if you don’t know exactly what you’re doing. Take a look at the following steps that are helpful in setting up your own pop-up restaurant. 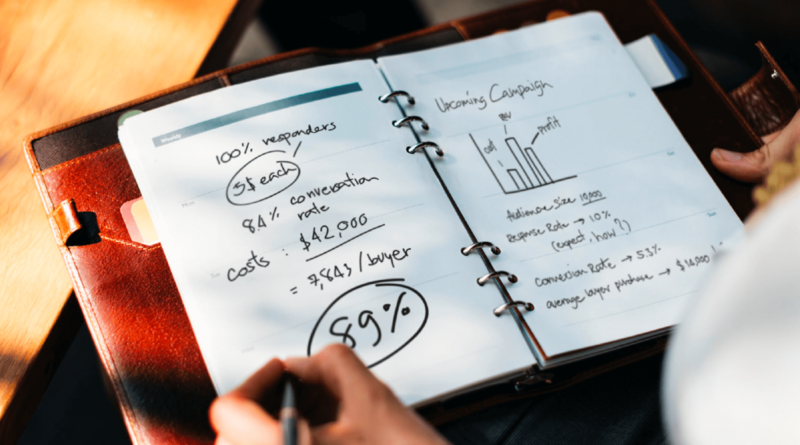 While building a business plan takes a lot of time and focus to complete properly, they are great for laying the groundwork and for figuring out your initial costs, your target market, how long it will take for you to breakeven, etc. It will also function as a great reference point whenever you speak to investors, lenders, other business owners, etc. No matter how efficient your business plan may be, you’ll need to build your brand as well as a solid brand presence. This includes a strategy for: social media, promotional materials, engaging at events, etc. 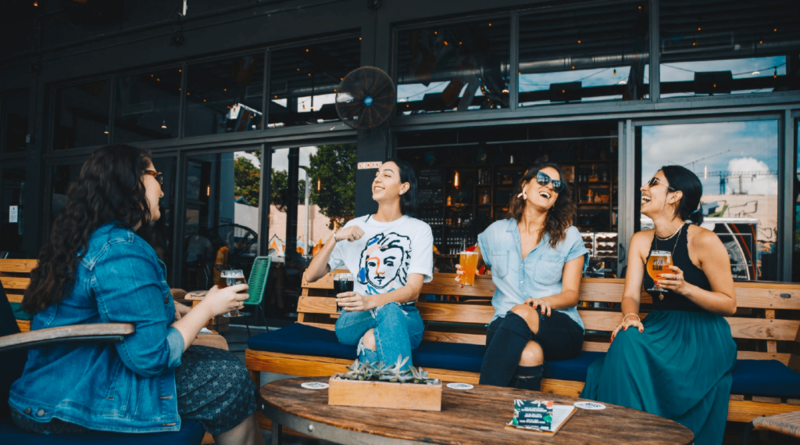 Your brand is what will make people want to stand in lines around the block just to get a taste of your food while you’re in town, and what will be talked about on social media and beyond. Do plenty of research and spend a lot of time on social media promoting the cities you’re going to be in along with uploading pictures of your food, the inside of your pop-up restaurant, your merchandise, people enjoying the food, and so on. With all the fun stuff out of the way, it’s time to get into the technical talk. If you’re an experienced business owner then you can go ahead and skip this section, for everyone else, stay put. Forming a business entity is a great way to protect yourself from legal liability as well as well as saving you some money on your taxes. In general, you’ll have to file a form with the state agency (usually the secretary of state) that takes care of business filings in your state, whenever you want to get your business entity. You’ll also have to pay a filing fee, but after the state receives and processes your paperwork, you’ll receive a certificate stating that your company now officially exists. You’ll notice that your business entity will contain documents that detail the rights and responsibilities you now have as the owner. These are important, so make sure you take time to go over the most important areas as well as circling important dates on your calendar like when your taxes are due. Along with getting a business entity, you’ll also have to register for a variety of federal and state taxes before you’re able to start your own business. Without it, you can end up in some serious legal trouble, so make sure you don’t skip this step. When tax season comes along, you’ll make the process a whole lot easier on yourself (and your accountant) if you have a banking account devoted solely for keeping track of the funds coming in and out of your business. Not only that, but having your finances in order will make you feel more confident as a business owner. I want you to pay some extra close attention to this section because it will highlight areas that are the main reasons why the vast majority of small businesses end up failing. You MUST build a system for accurately recording all of your various expenses and sources of income so you’re constantly aware of the financial performance of your pop-up restaurant and know the locations where you should continue to set-up shop along with the locations that weren’t such a good idea. 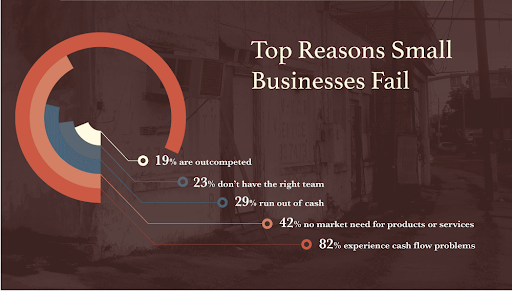 If you take a look at the graph below, you’ll see that 82% of failed small businesses experienced issues with their cash flow. To avoid this problem and to assure that your pop-up restaurant doesn’t experience any issues with bringing money in, put extra attention and effort into making sure that you’re keeping in-depth records of all of your business expenses, profits, etc. If not, your pop-up restaurant may end up becoming another statistic. Owning a pop-up restaurant means that you’re going to be setting up shop in a number of different cities and states, so you want to be extra careful that you’re obtaining all of the necessary permits and licenses for operating a business in whatever area you’re in so that you don’t have to worry about being prematurely shut-down or having to pay hefty fines. Something else you’ll need is business insurance, which is especially important if you plan on hiring employees because workers compensation is a legal requirement in many states. Another area that is important in terms of your employees is your systems for handling and building your employee schedules. 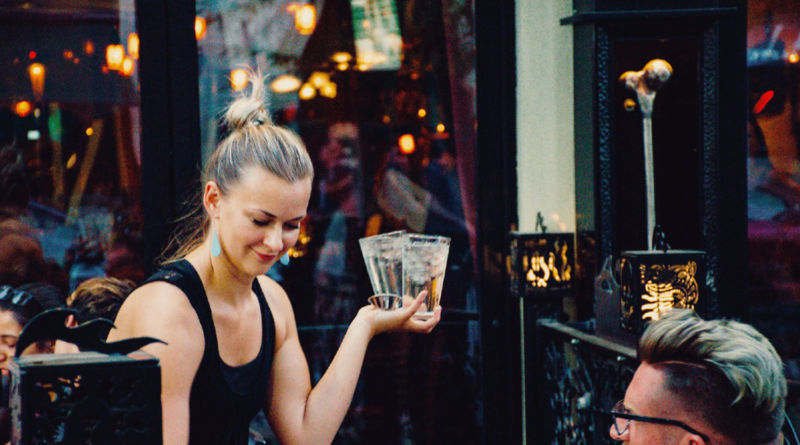 When you’re in a new area and have a small time frame for setting up your restaurant, you need to be assured that you’re employees are on time and ready to roll so that you don’t experience any hold-ups that can cost you profits. One way around this is by investing in a employee scheduling platform like Deputy, which gives you an easy avenue for building your schedules and sending them out so that everyone knows where to be and where. If you’re interested in seeing Deputy work for yourself, click here to . Aside from being prominent on social media, you’ll also want a website for your pop-up restaurant that details information like your menu, your location dates, brand information, etc. Just make sure that your website runs well on mobile devices so that you don’t end up alienating people visiting your site through their smartphones, tablets, etc. Along with that, you’ll want to build a logo so you have a face for your brand that you can slap on your website, social media, t-shirts, etc. Pop-up restaurants have skyrocketed in popularity in recent years and business owners can greatly benefit from them as long as they build a strategy that plays to its strengths. If you’re looking to make the jump into building a pop-up restaurant, then go over the above information to ensure that your new business venture goes smoothly. Another way to ensure that your new business goes smoothly is by using an employee scheduling platform that makes it easy for your employees to receive schedules as well as swap shifts and clock in and out of work. Click on the button below to book a demo where you can learn more on how Deputy can be the answer to your troubles. The post Your Complete Guide to Pop-Up Restaurants appeared first on Deputy.